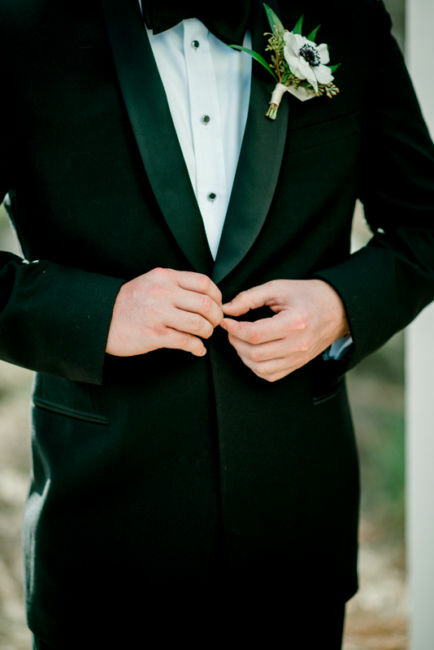 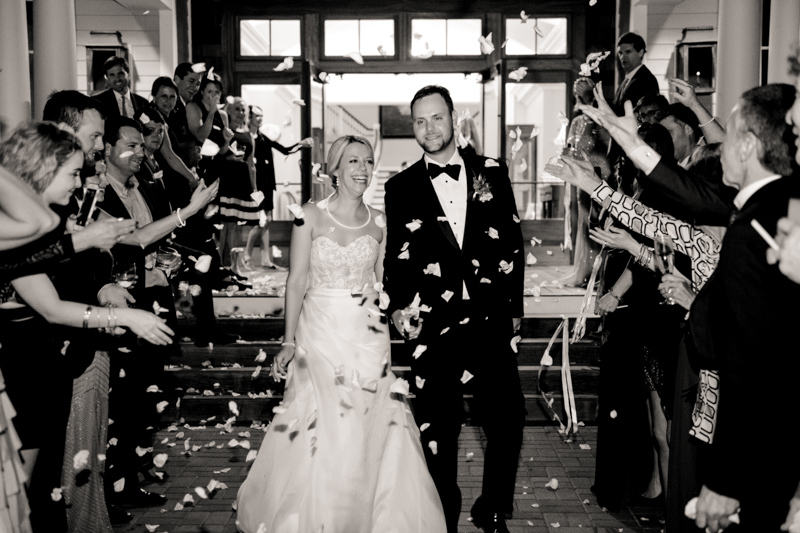 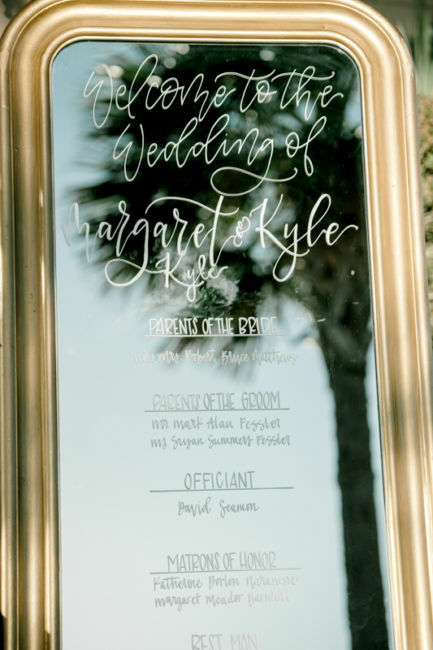 Two weeks after Margaret Kyle moved to Atlanta, she met Kyle, and during their first date, they clicked automatically! 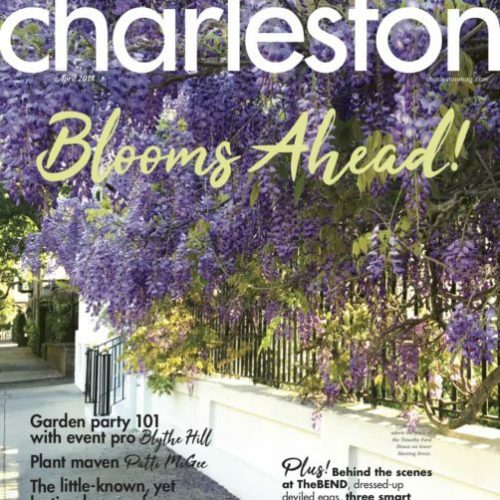 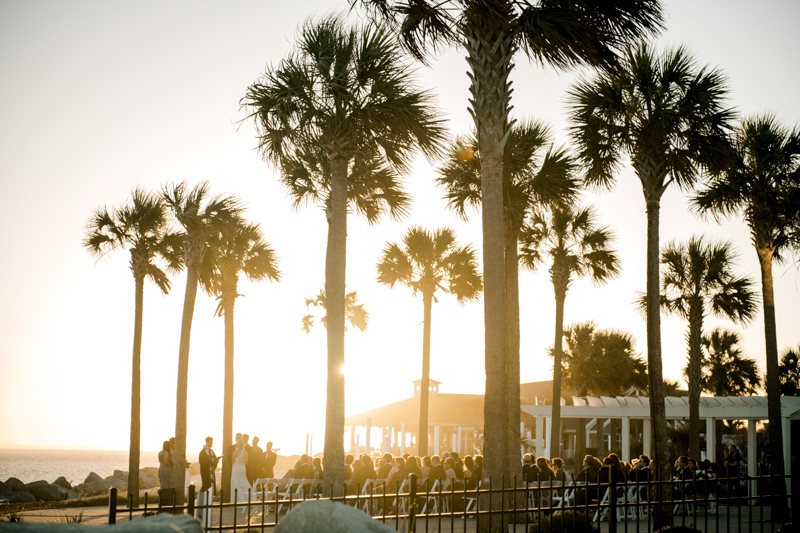 Almost three years later, Kyle surprised Margaret Kyle with a Charleston proposal. 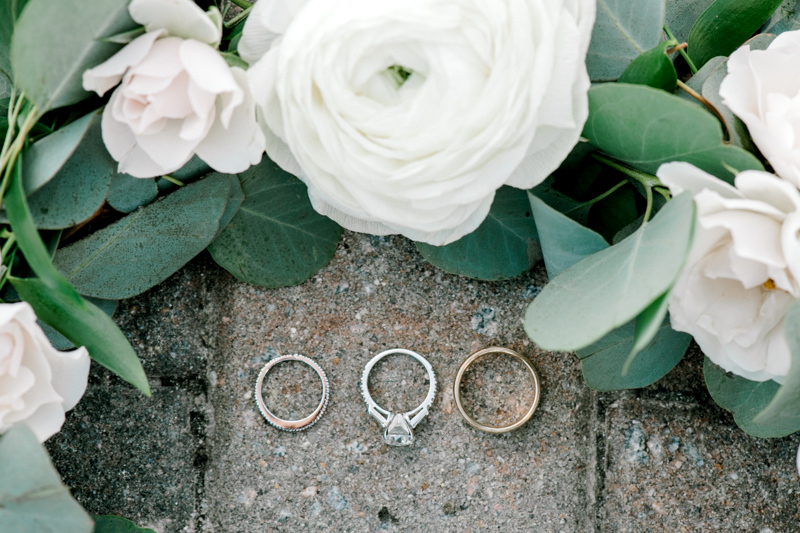 Kyle had Margaret Kyle’s ring made by the same jeweler who had made her mother’s ring over 30 years ago. 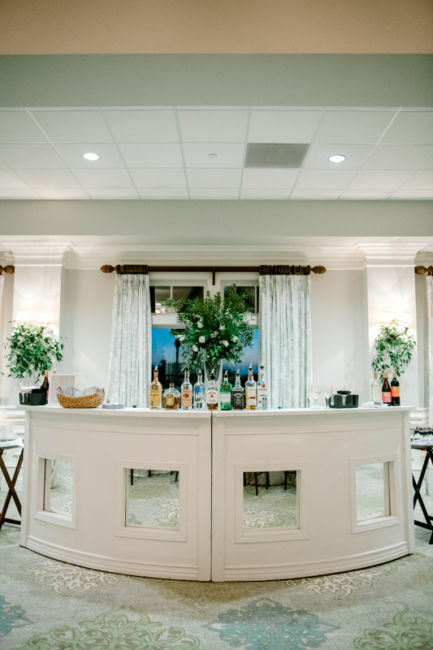 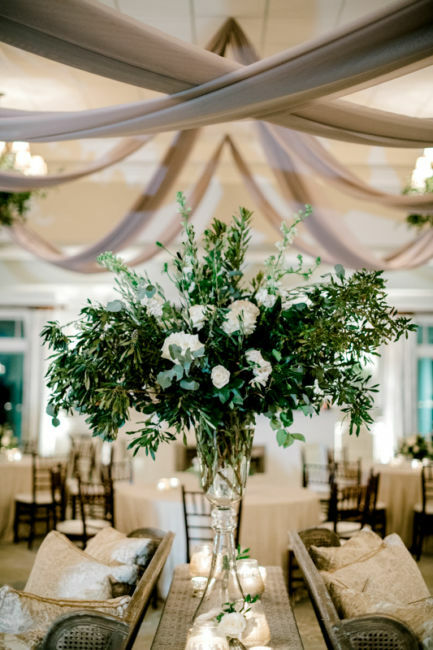 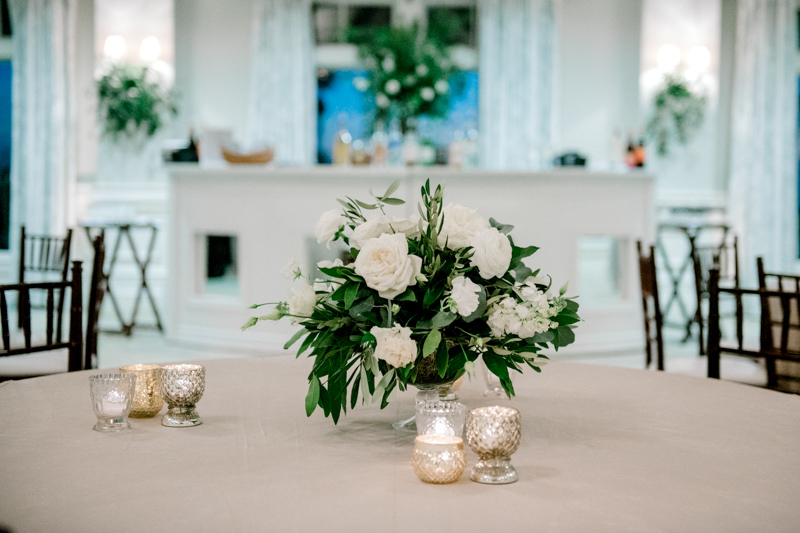 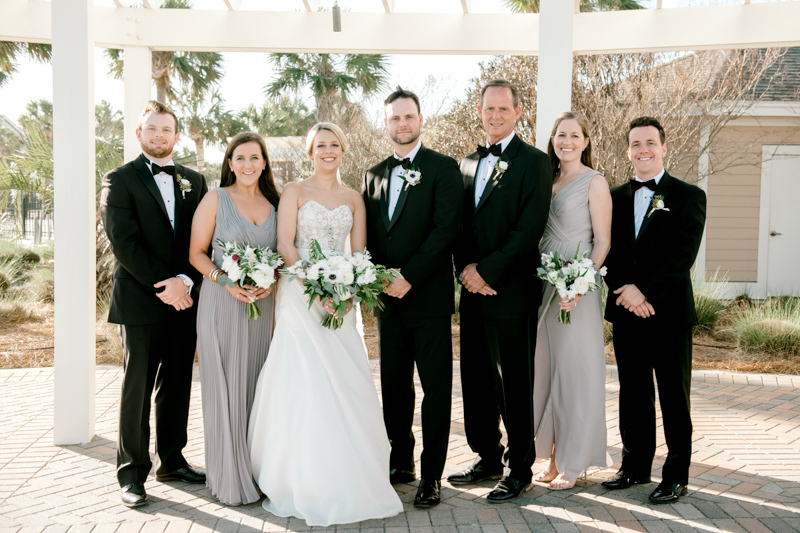 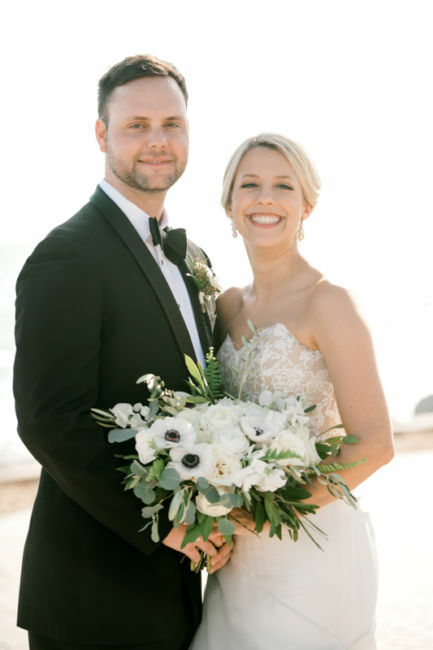 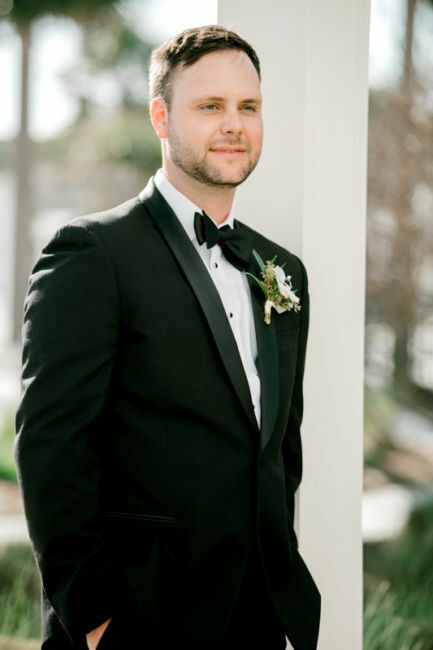 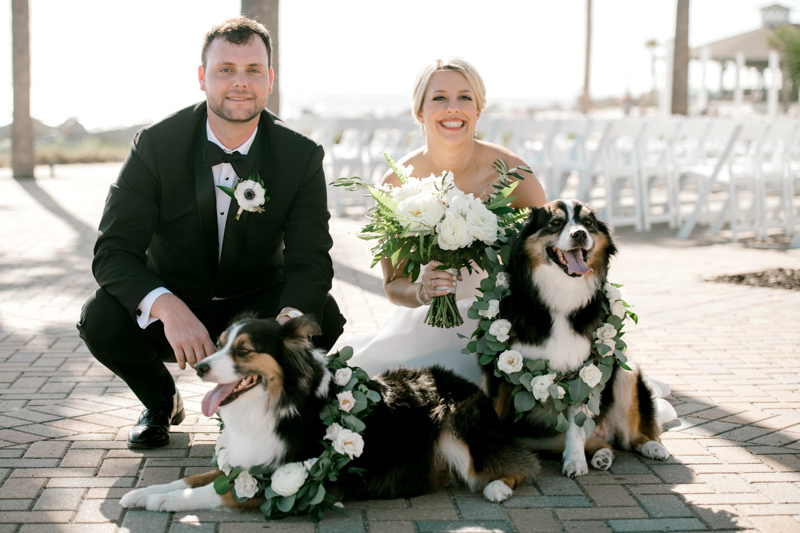 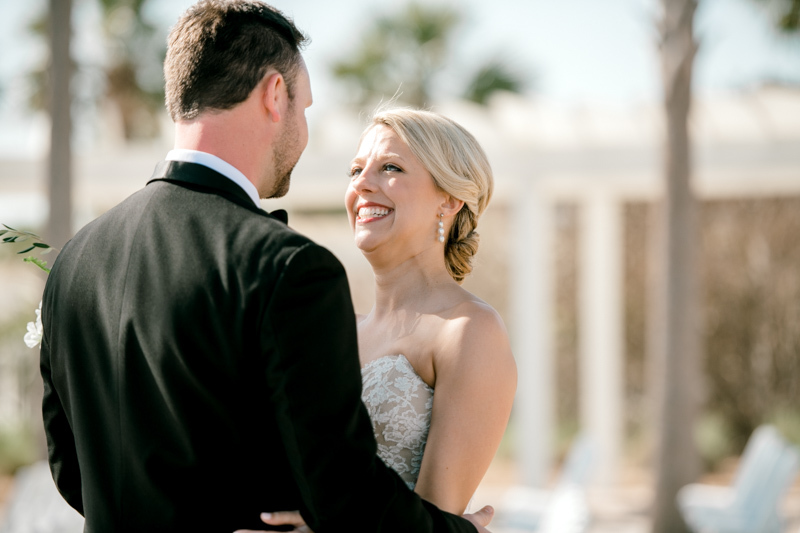 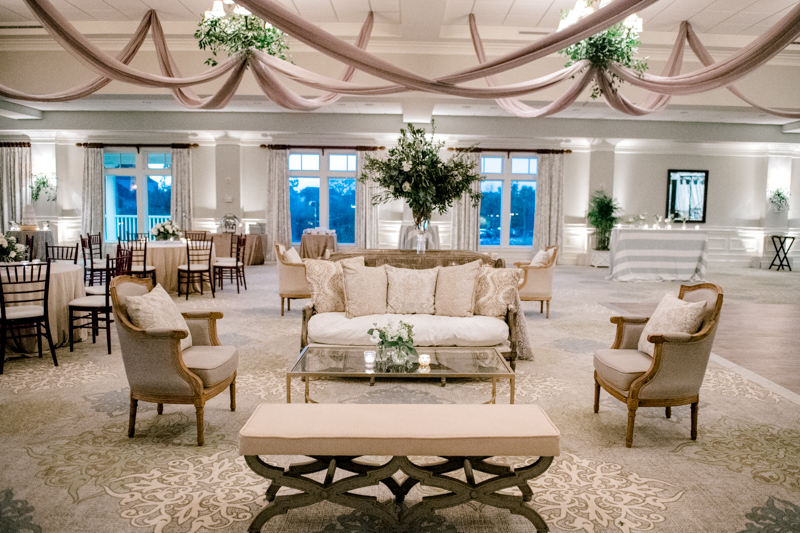 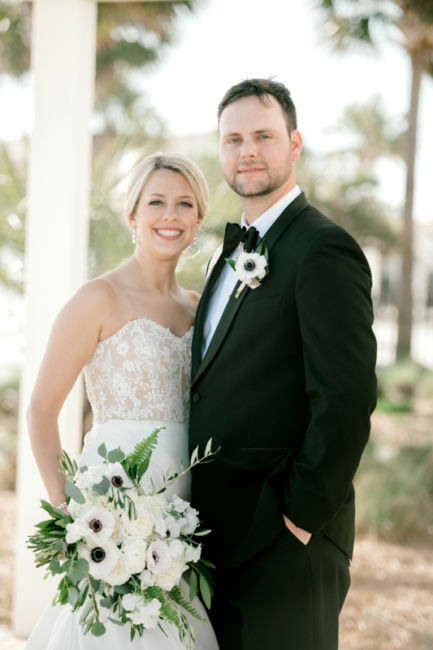 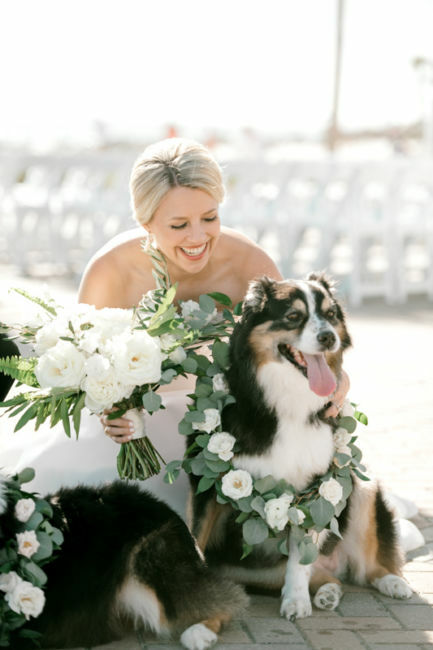 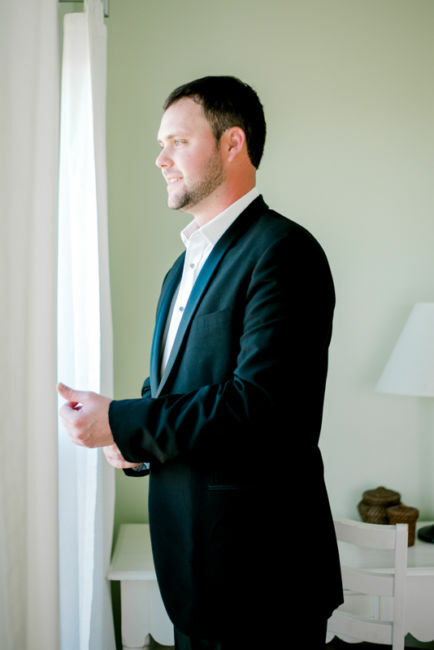 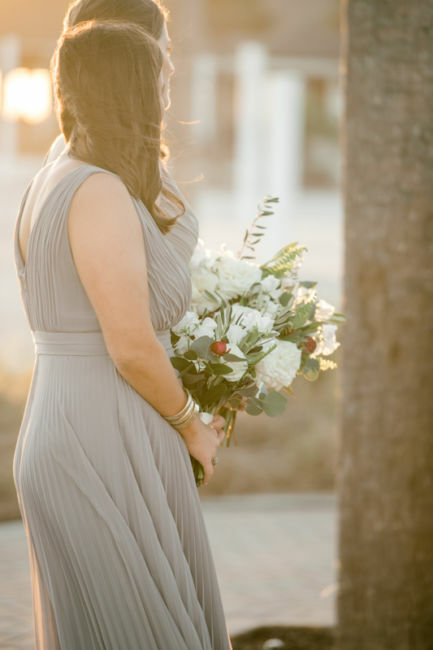 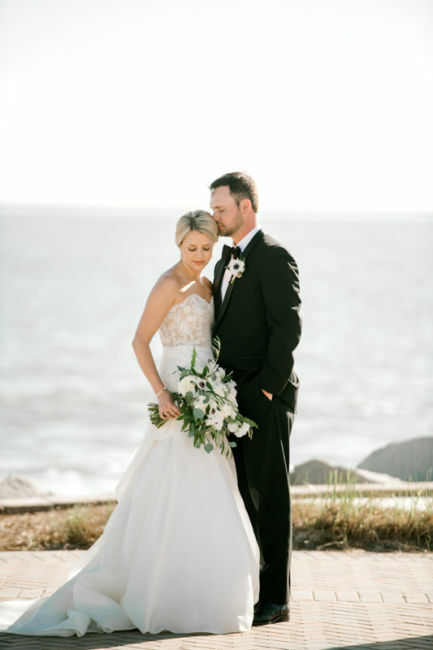 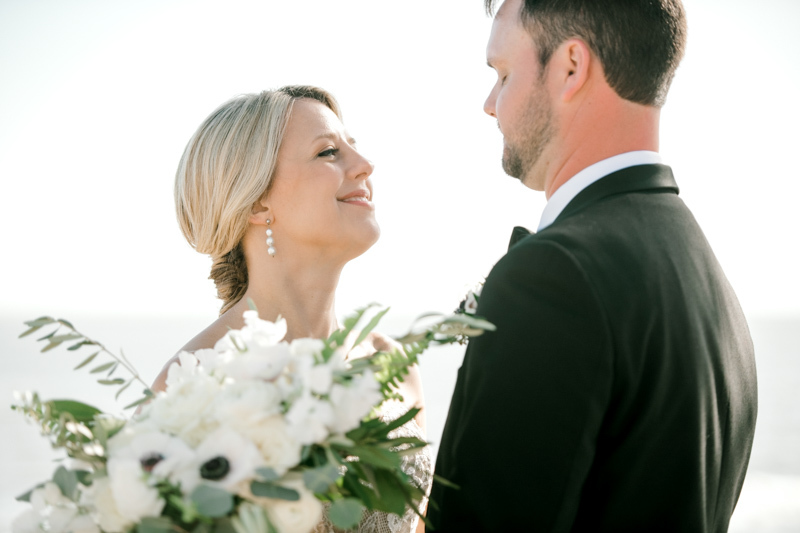 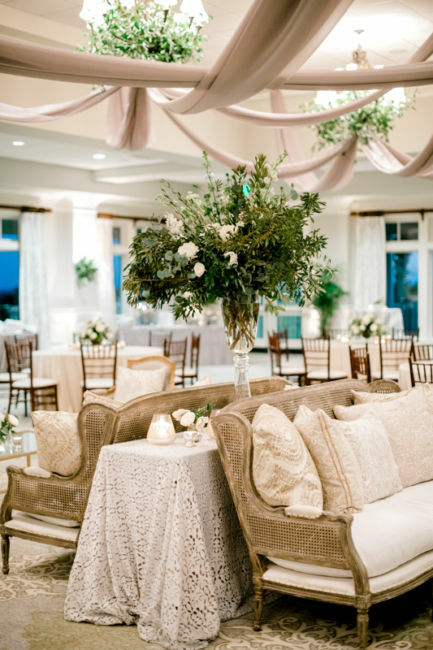 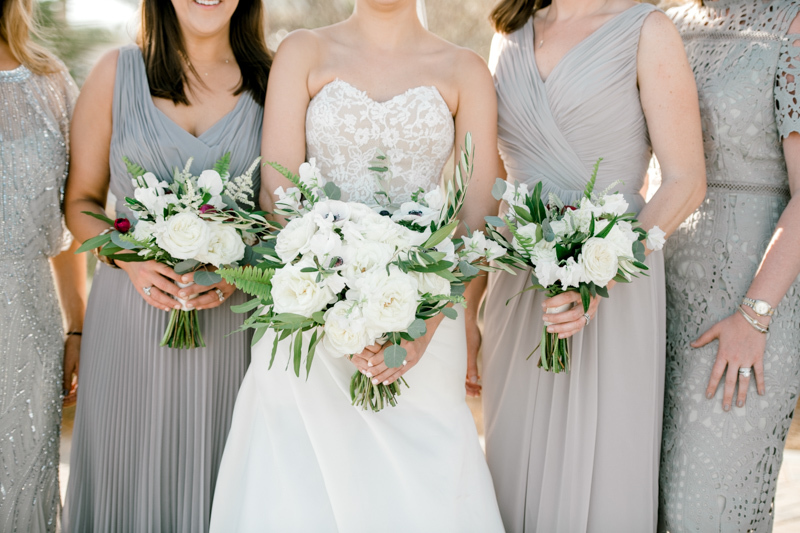 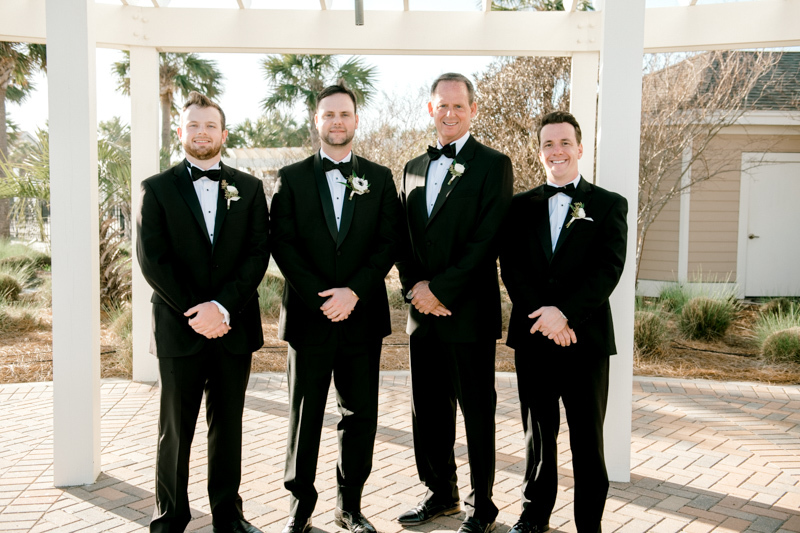 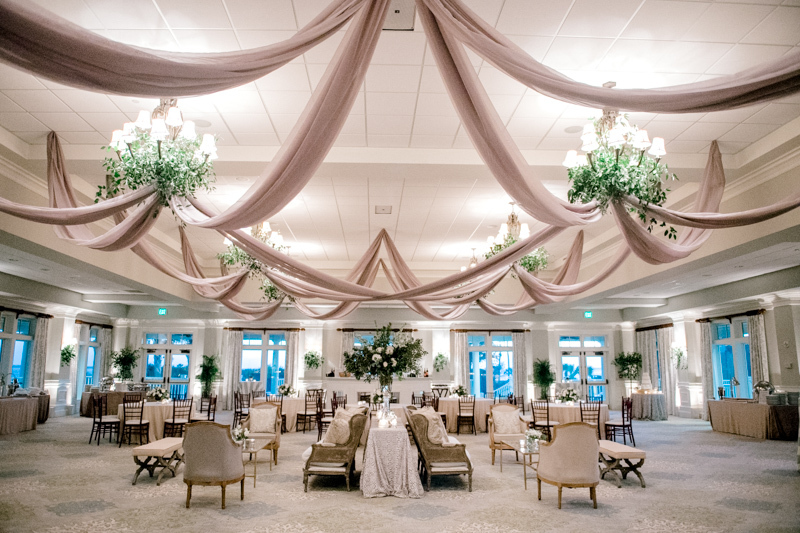 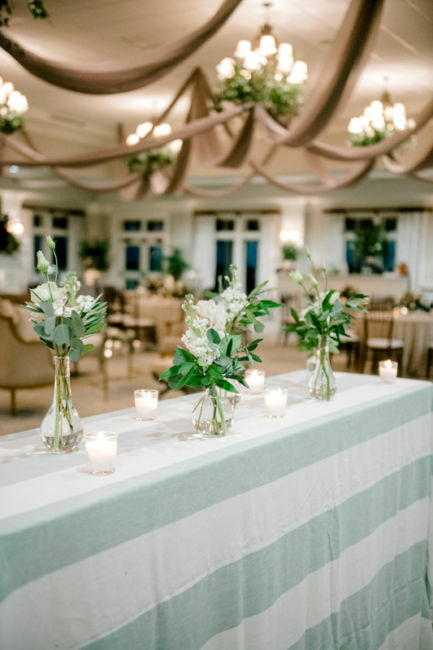 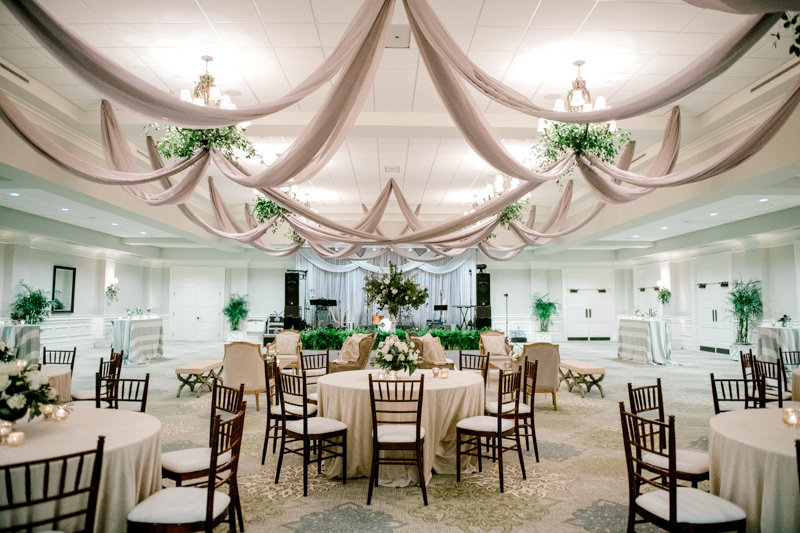 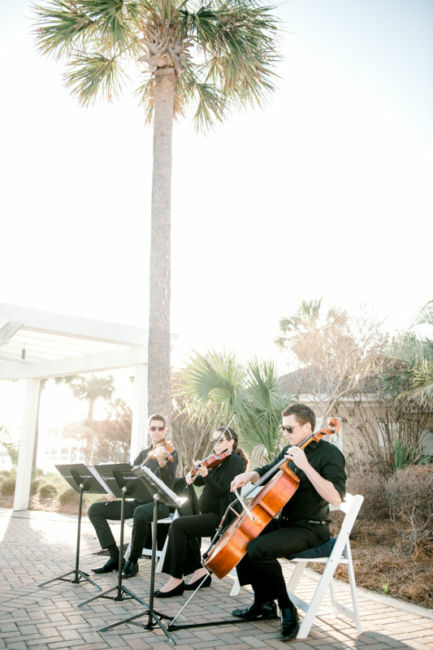 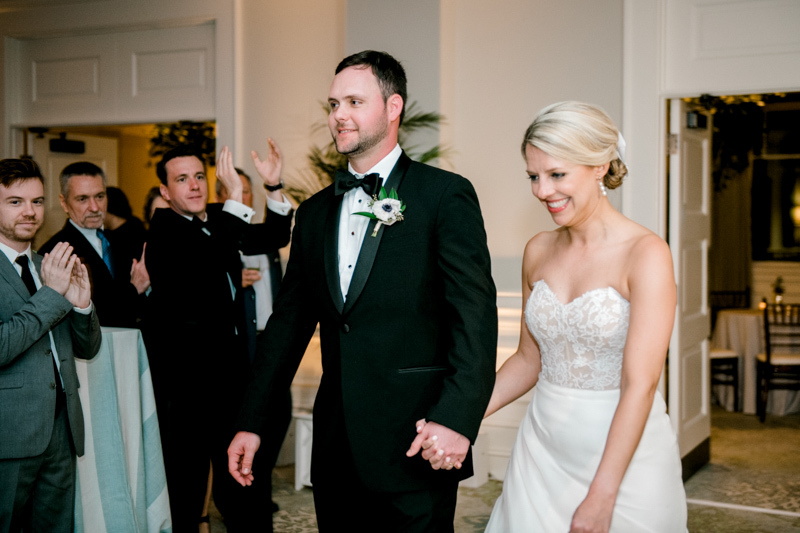 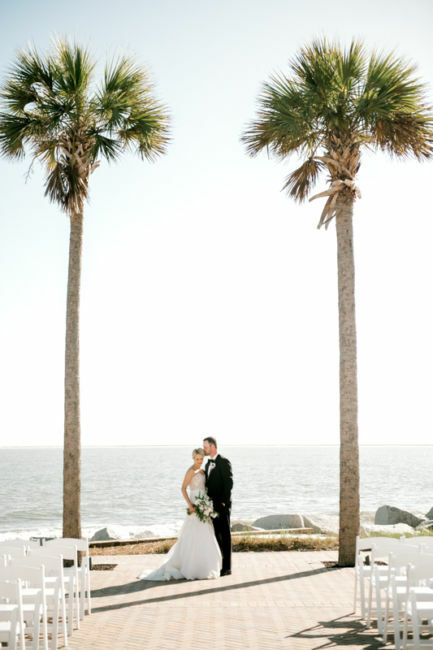 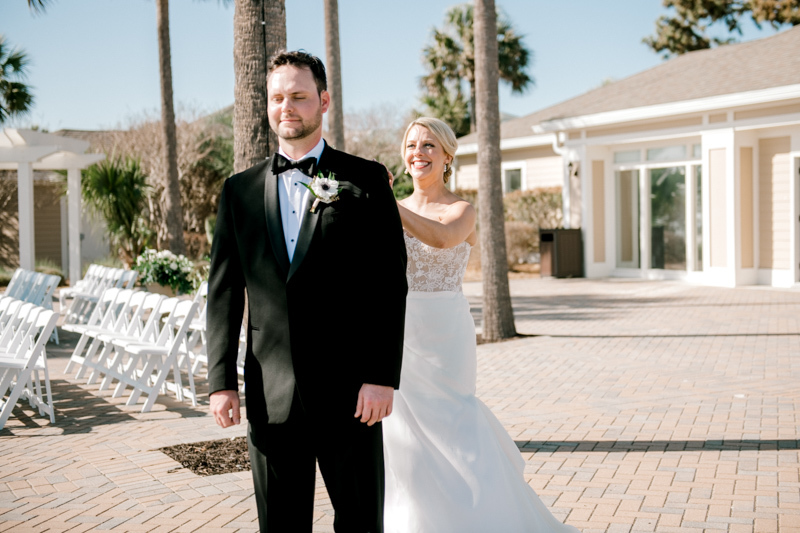 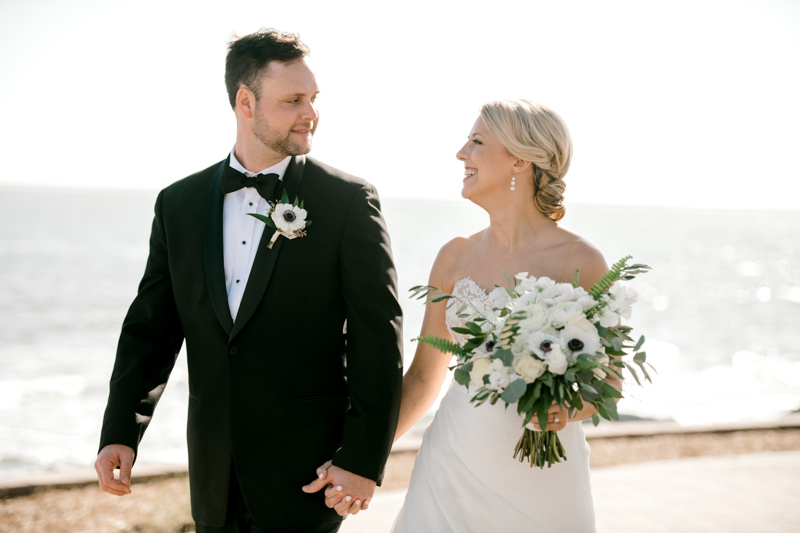 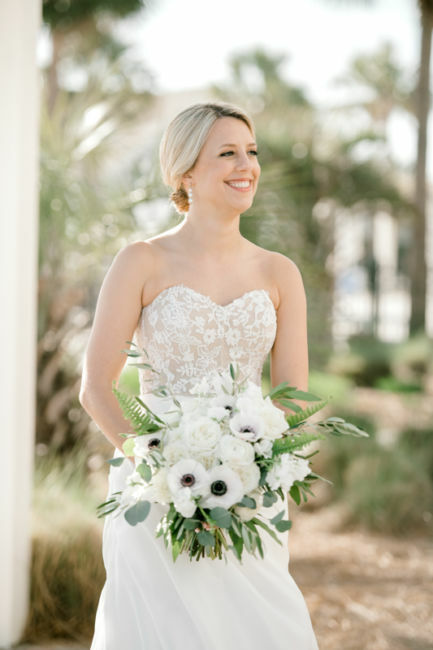 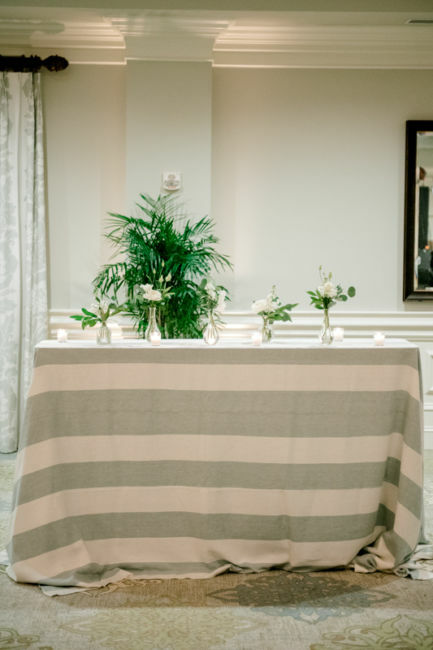 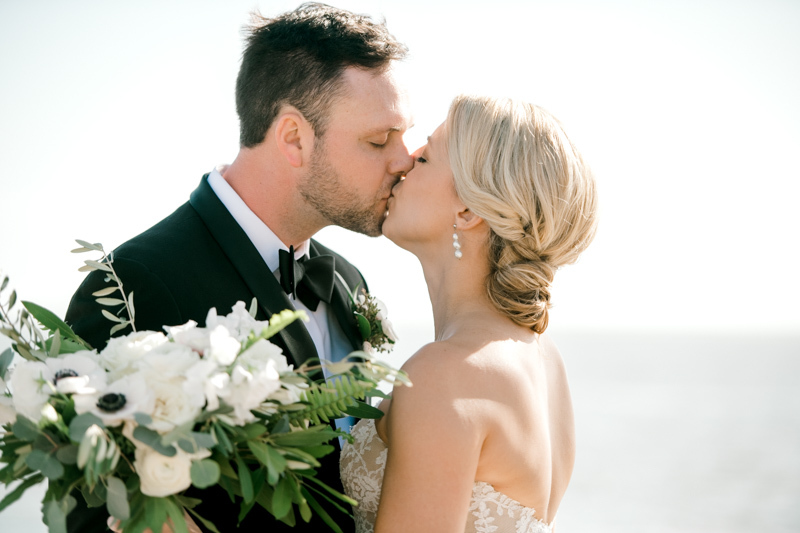 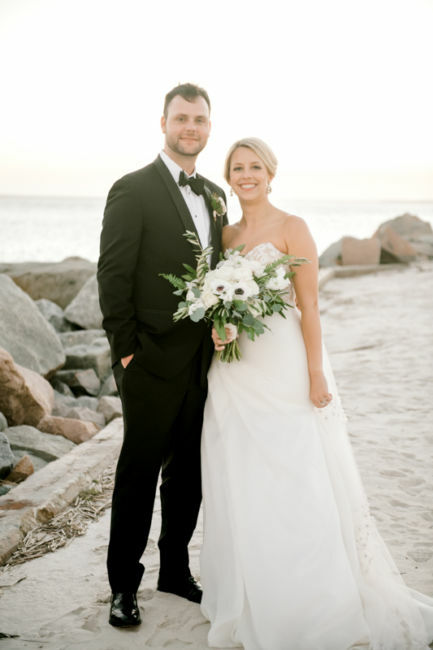 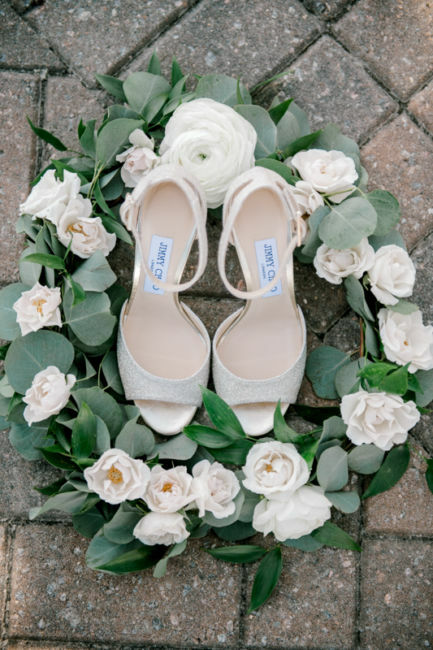 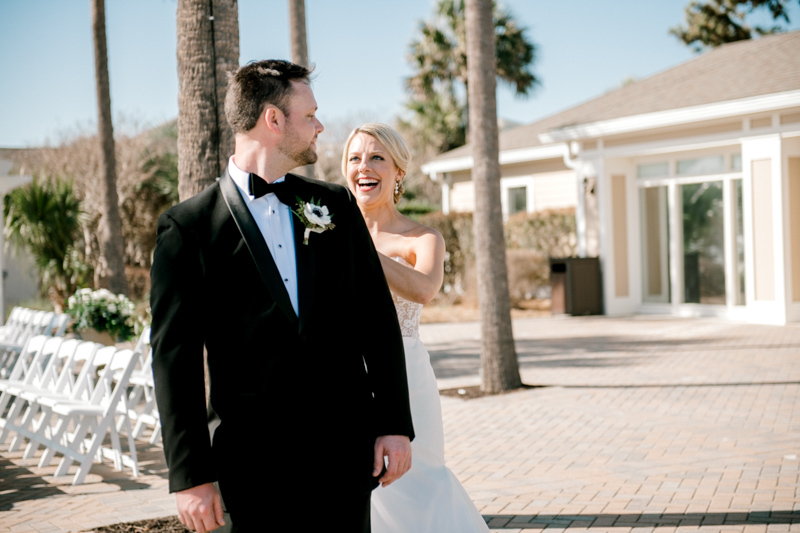 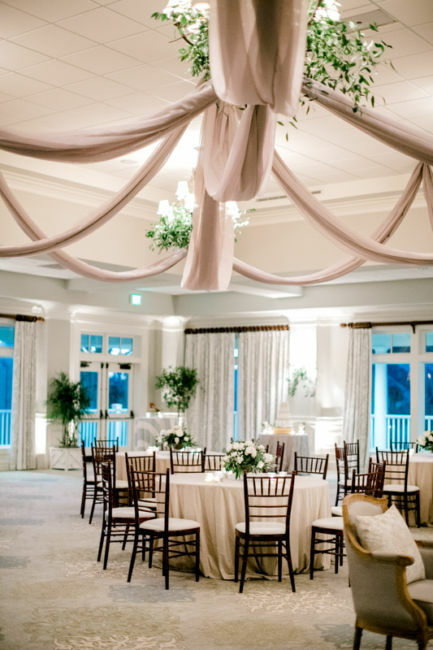 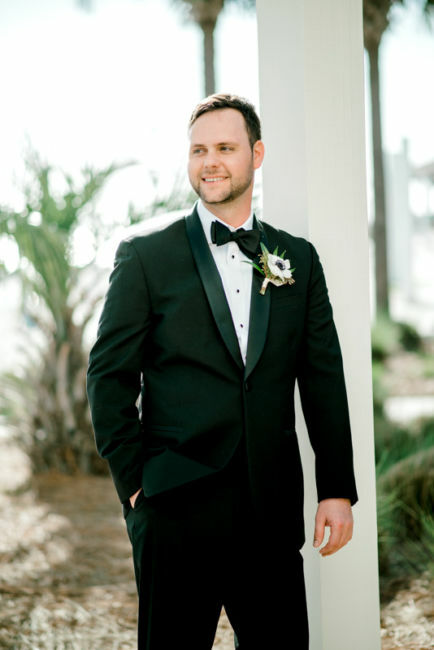 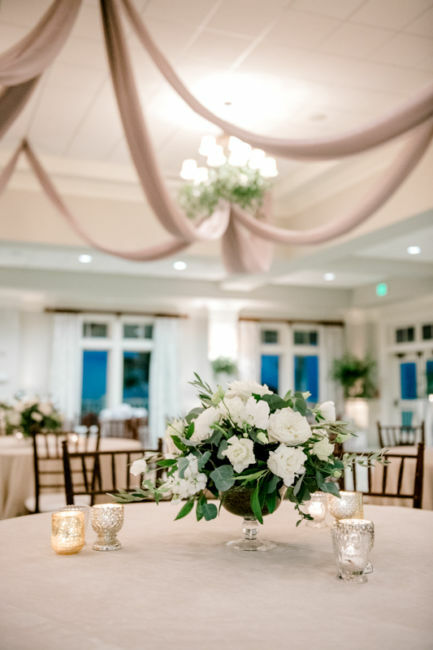 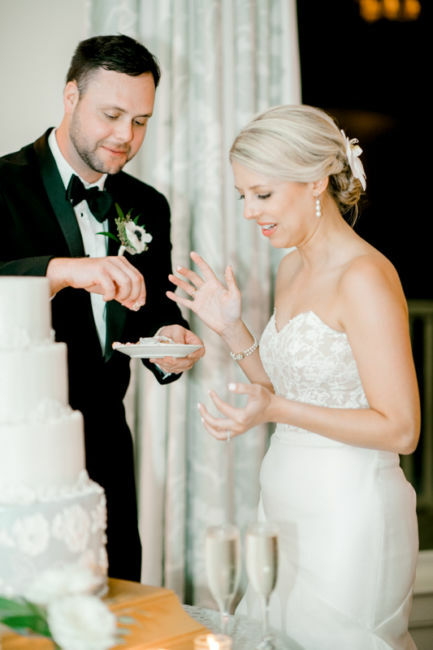 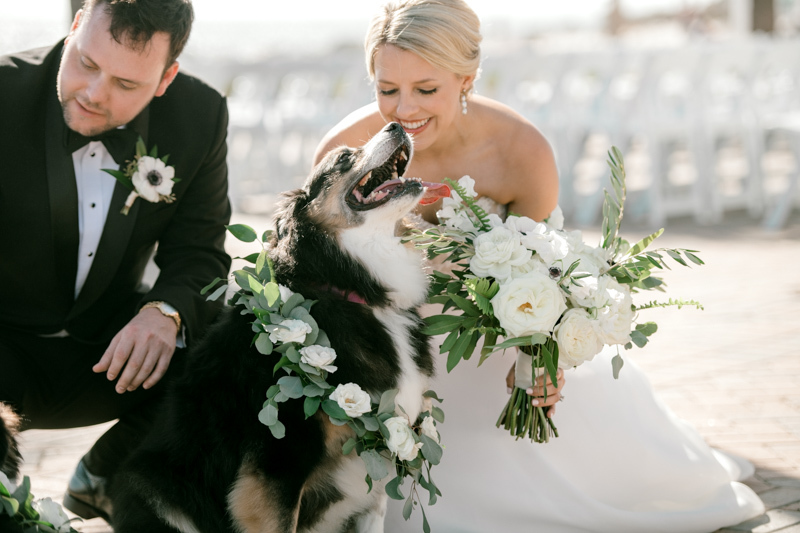 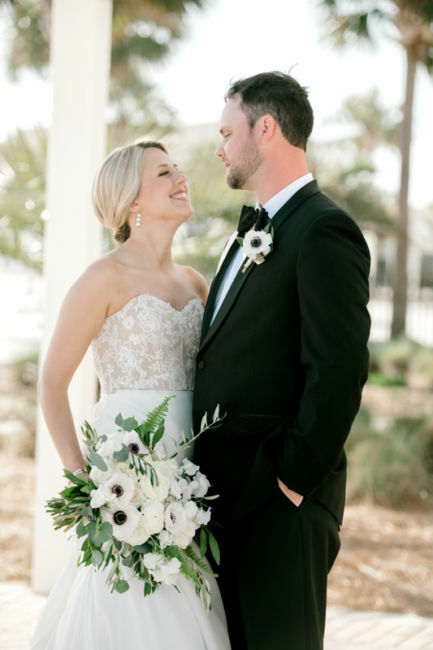 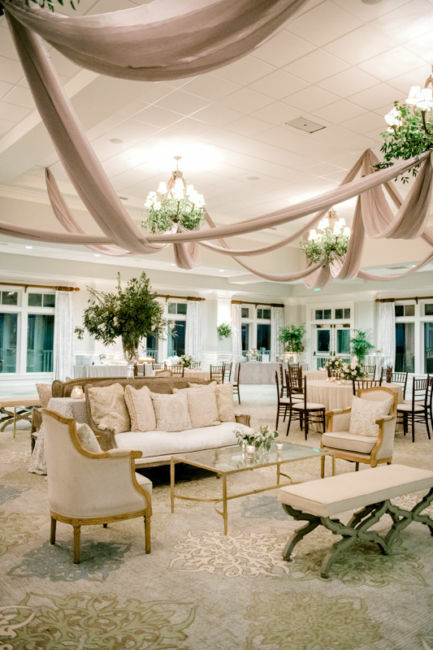 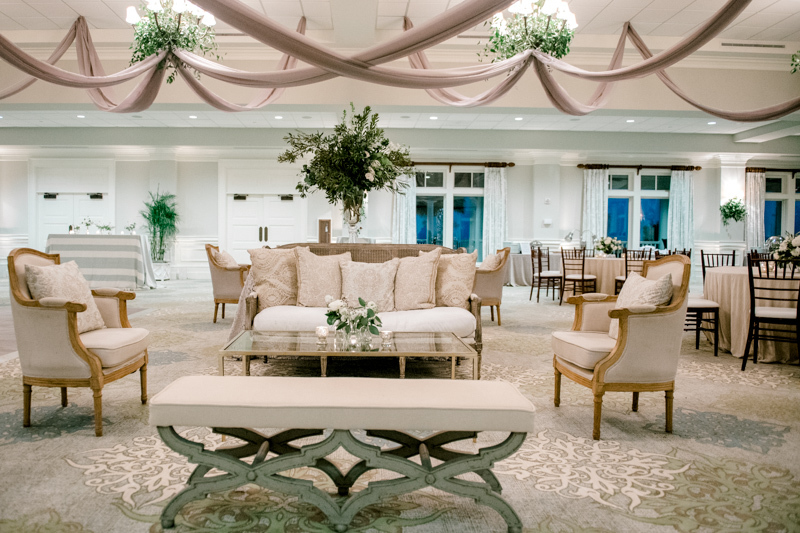 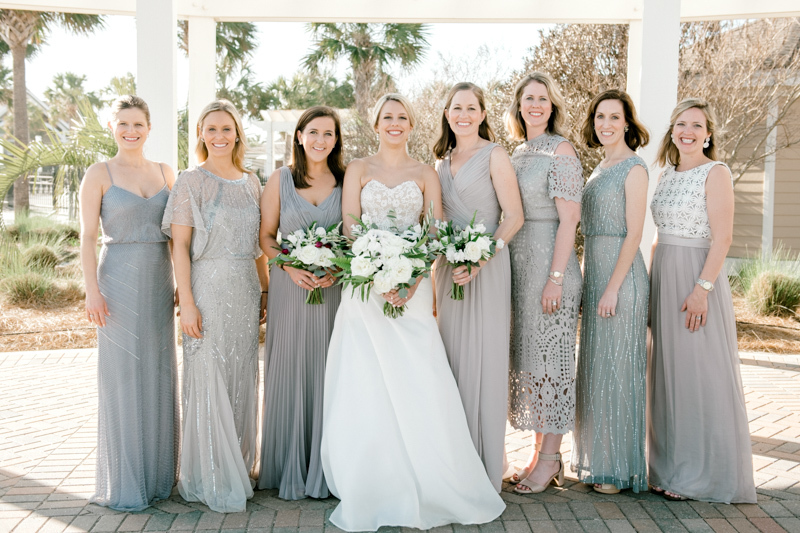 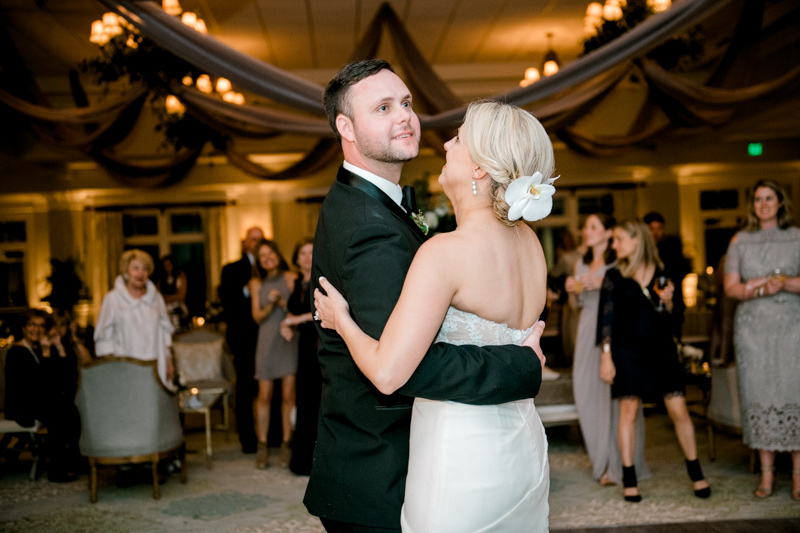 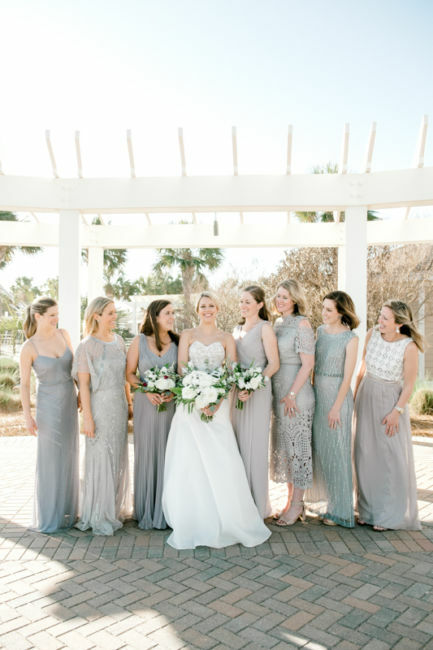 Margaret Kyle and Kyle were married on February 24th, 2018 at the Seabrook Island Club. 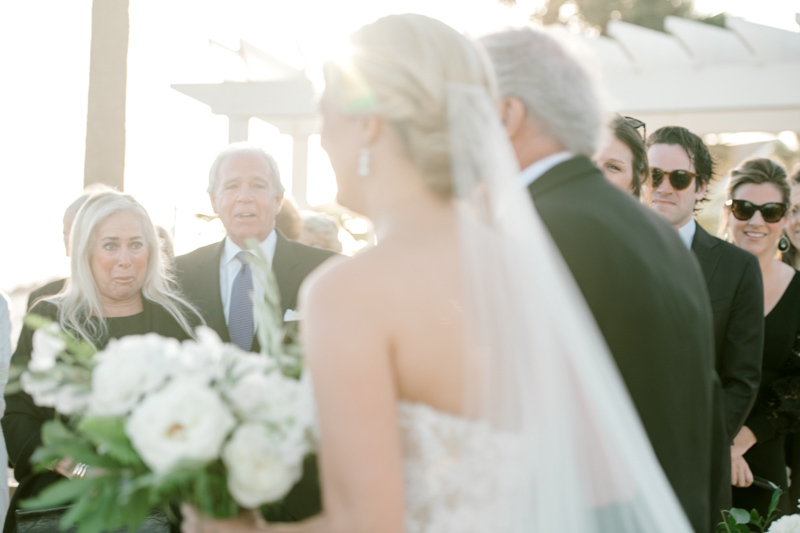 The wedding was nothing short of beautiful. 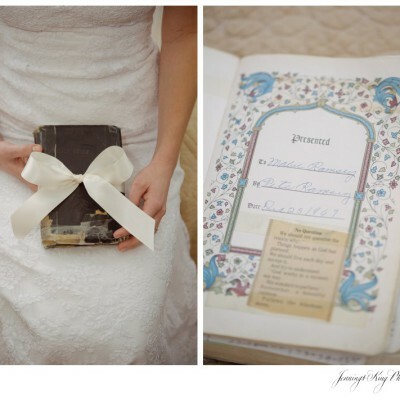 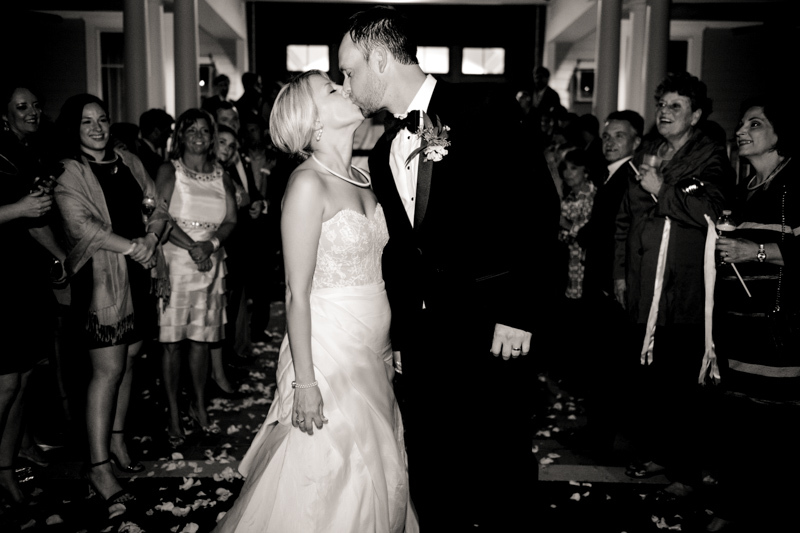 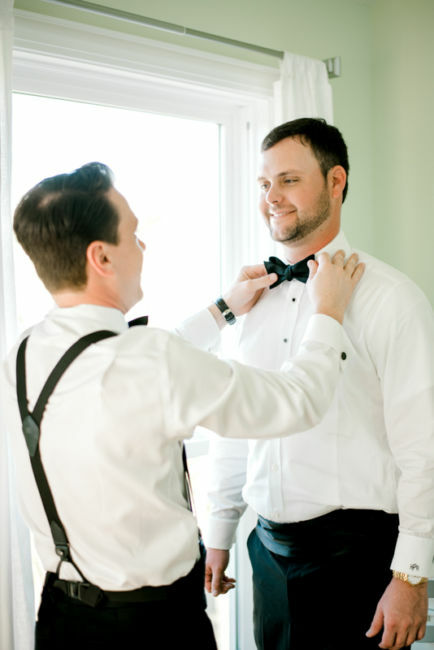 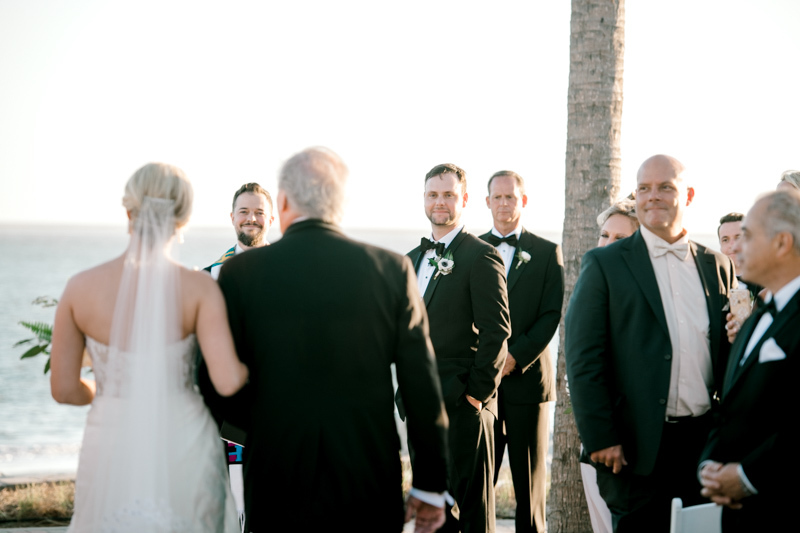 The entire day was filled with special moments as the newlyweds were surrounded by friends and family. 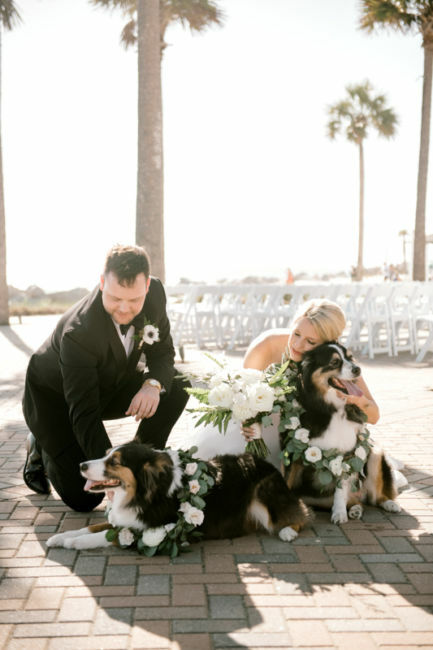 Even their two Australian Shepherds joined in on the fun! 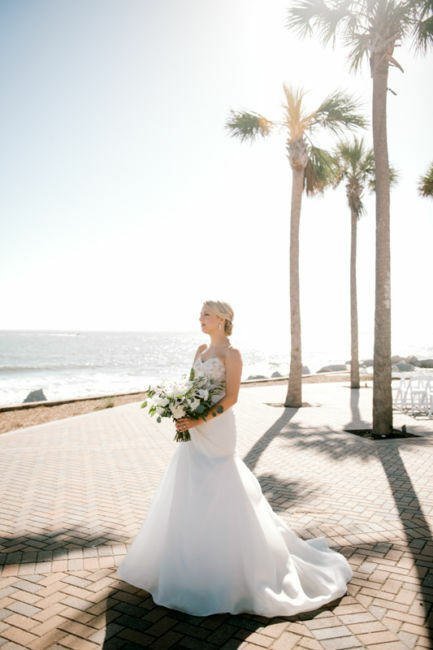 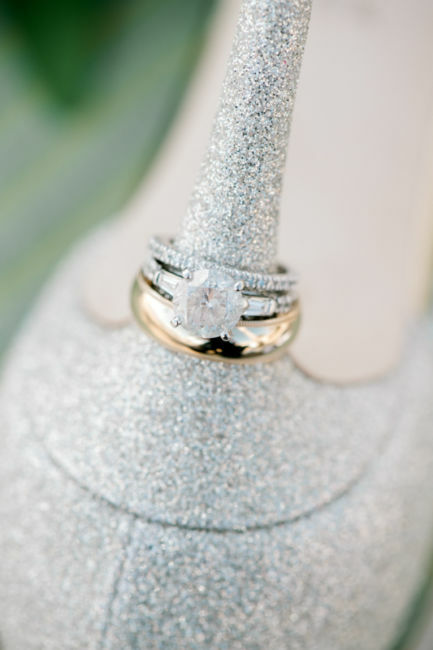 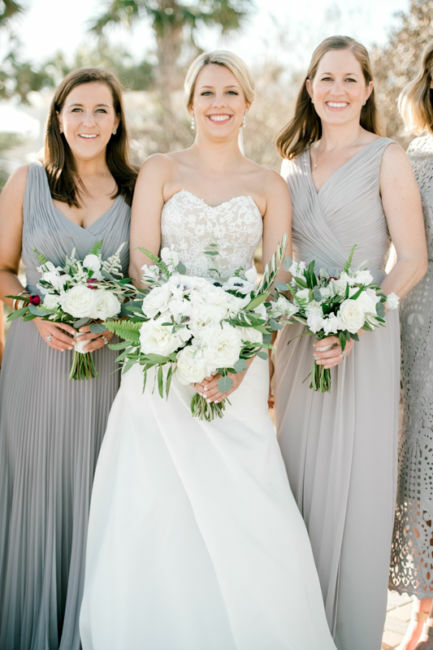 Margaret Kyle looked flawless in her stunning two-piece Monique Lhuillier gown as she walked down the aisle. 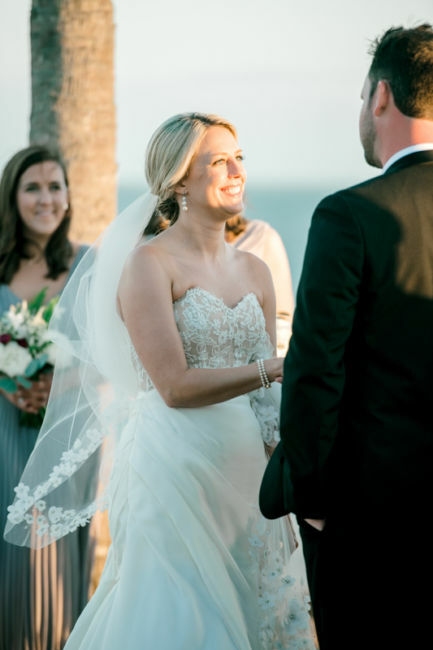 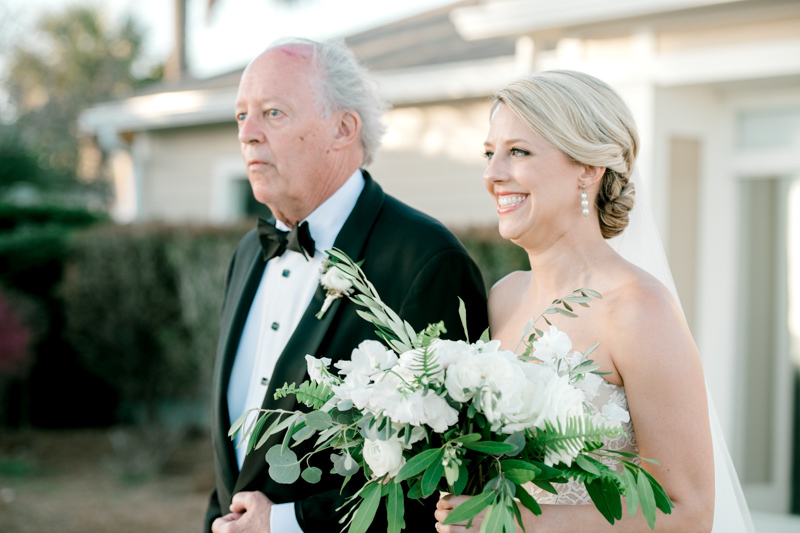 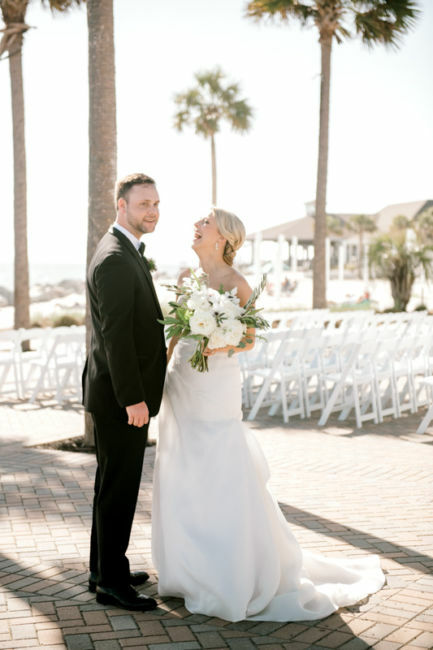 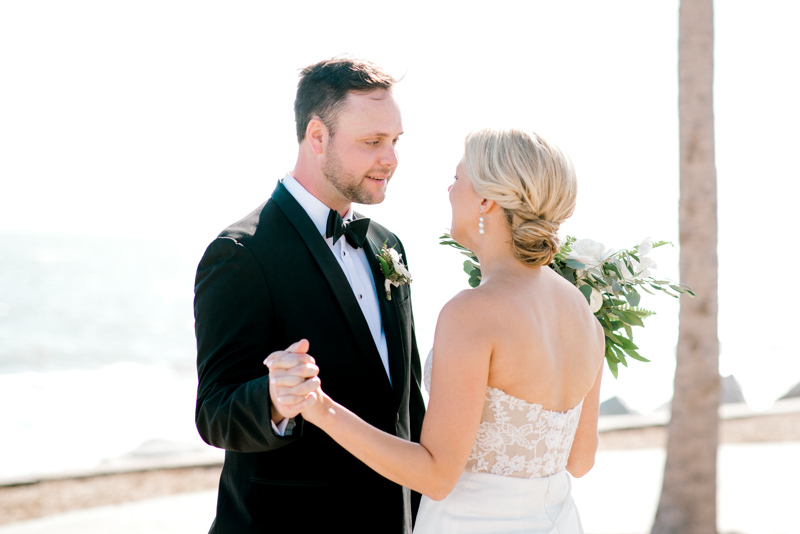 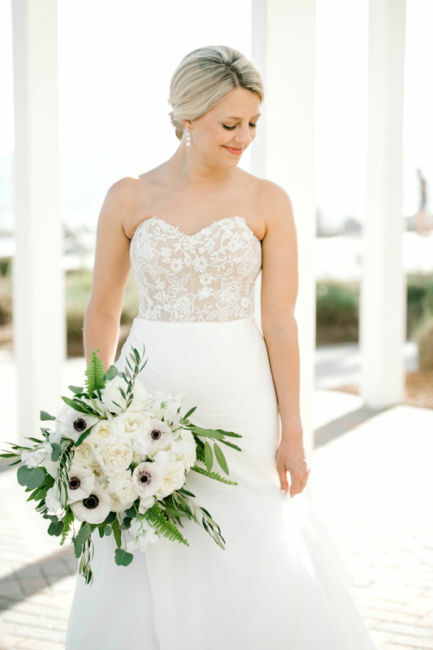 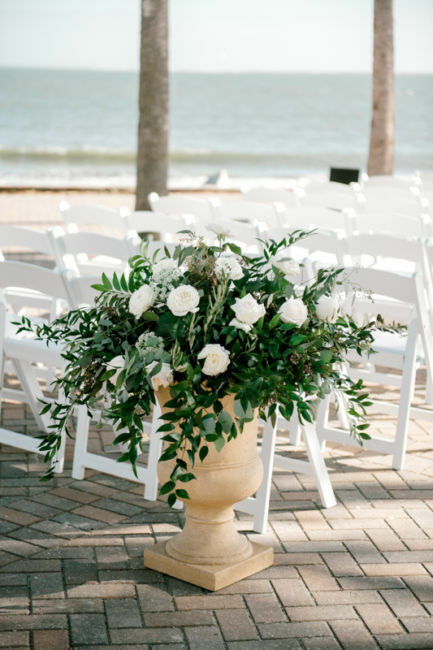 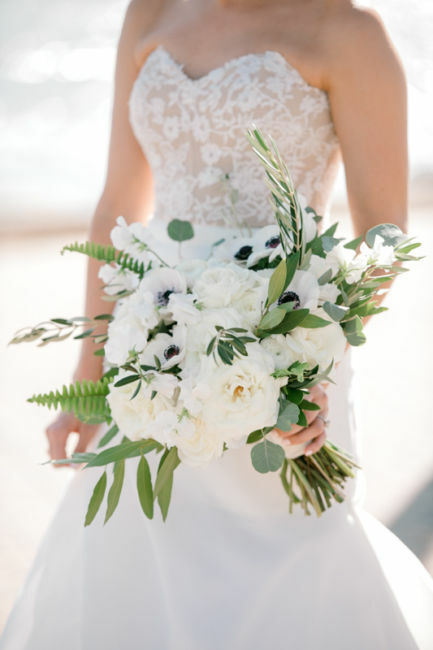 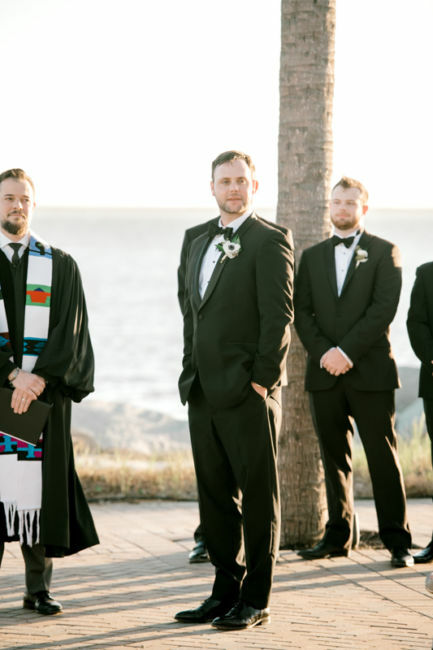 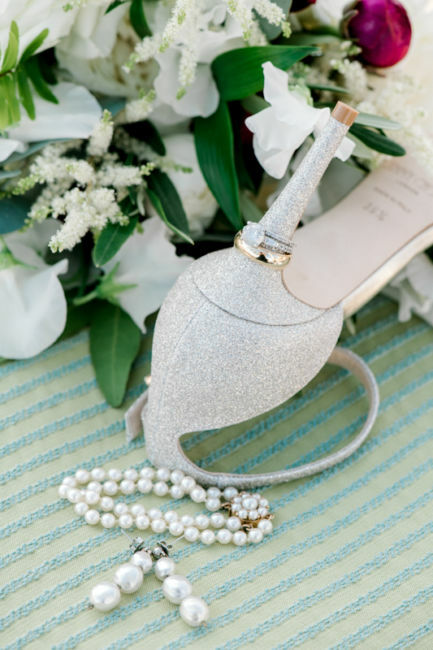 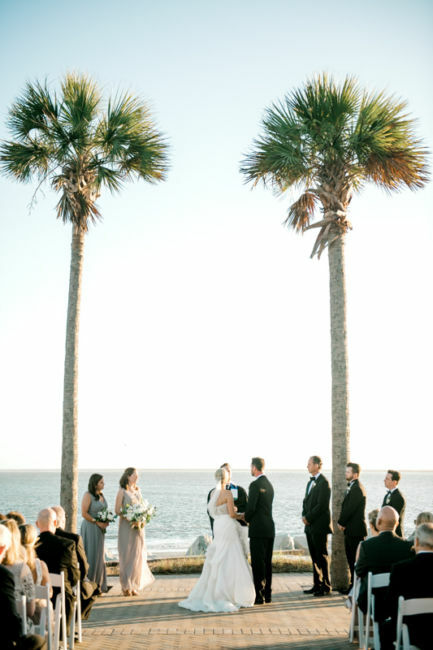 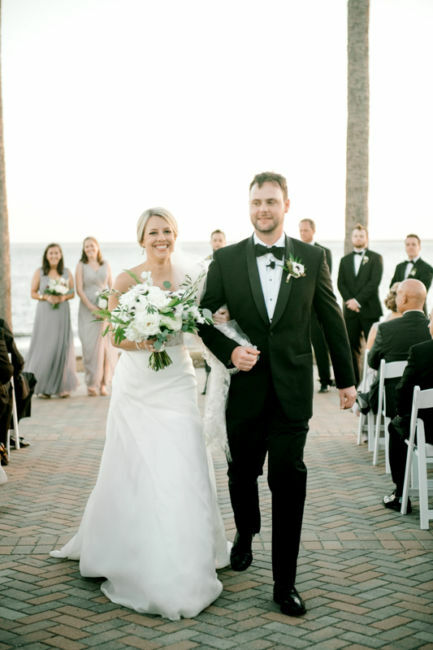 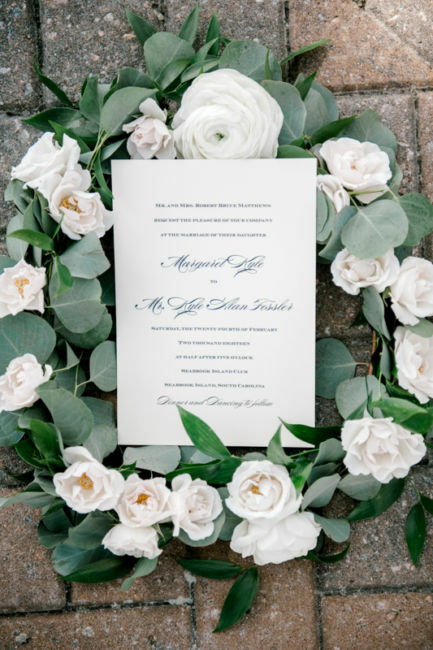 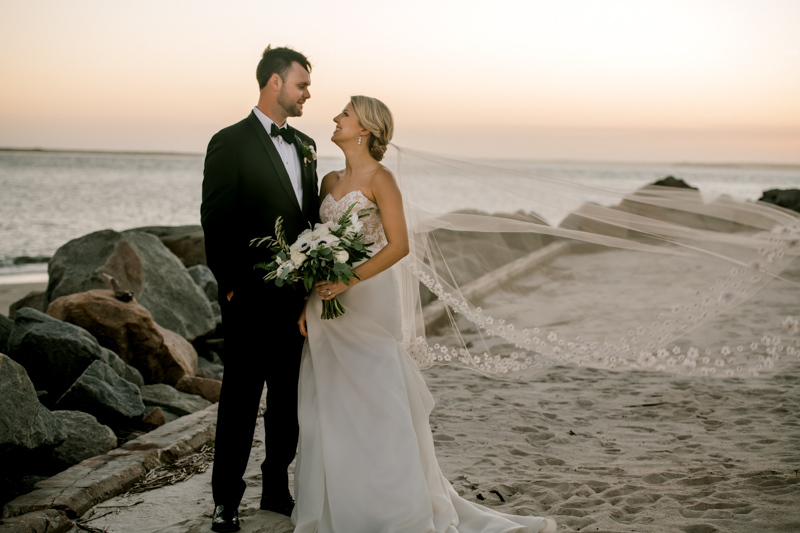 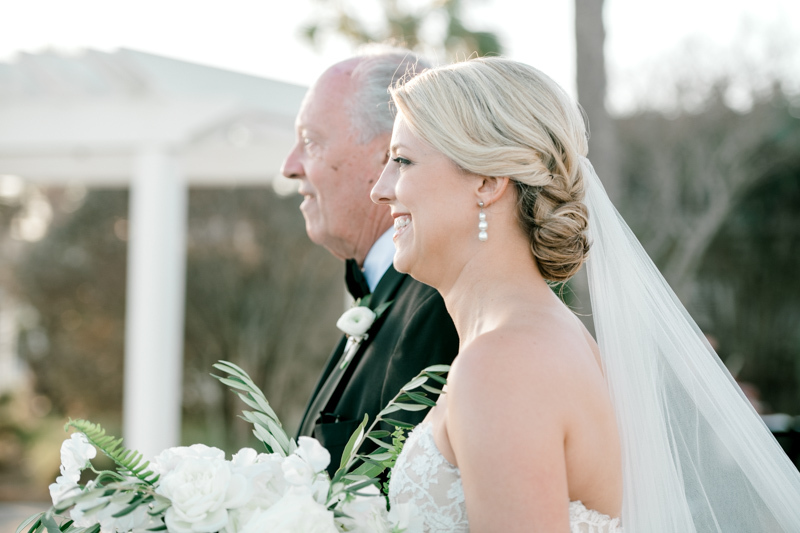 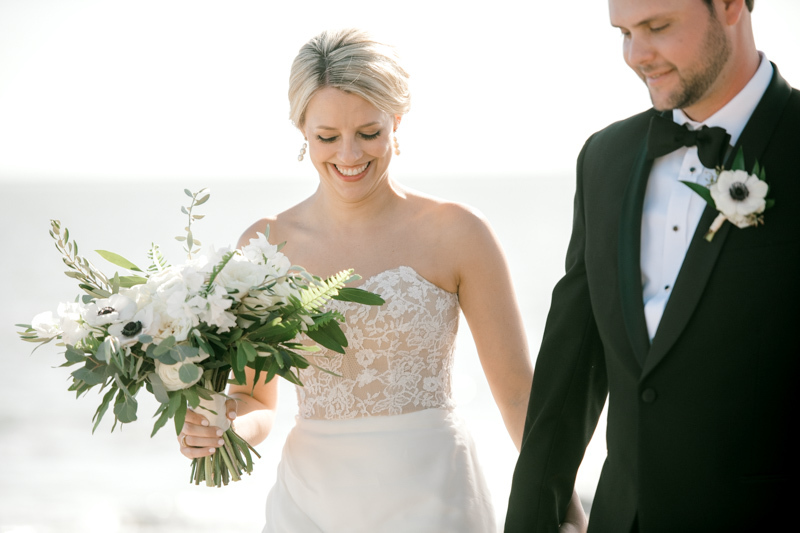 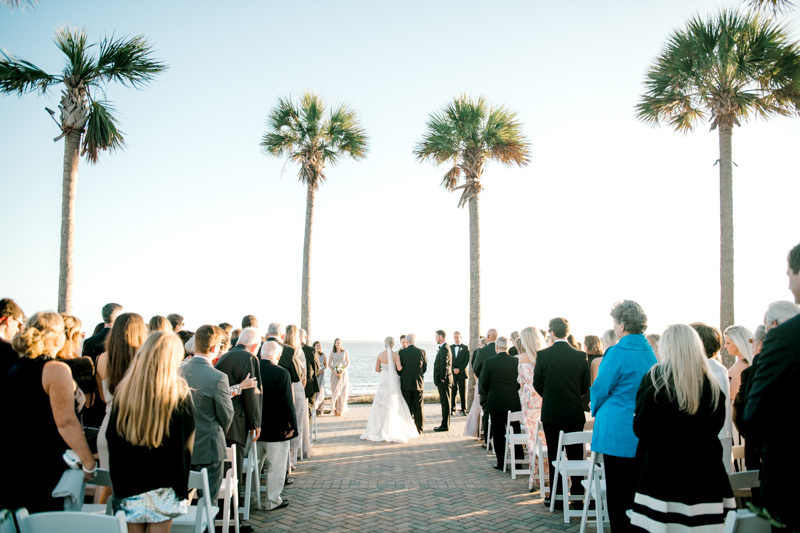 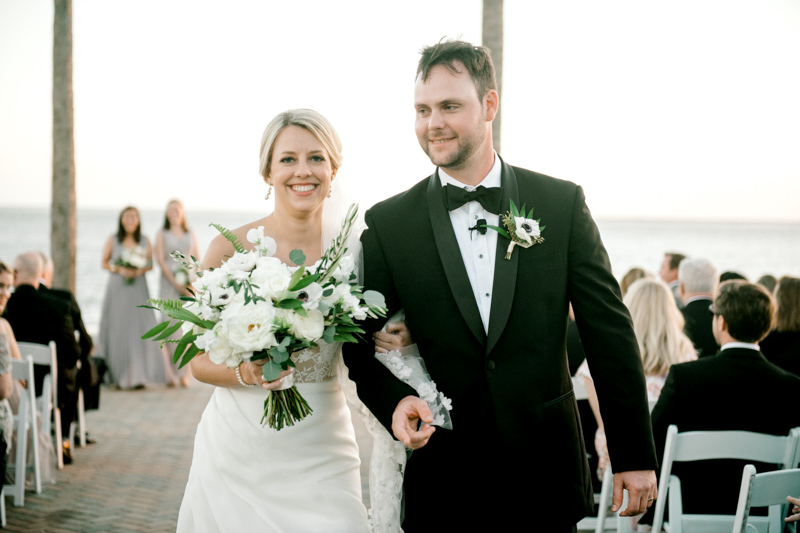 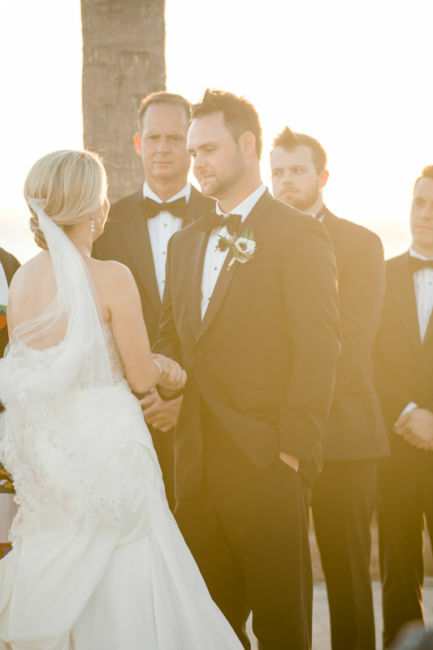 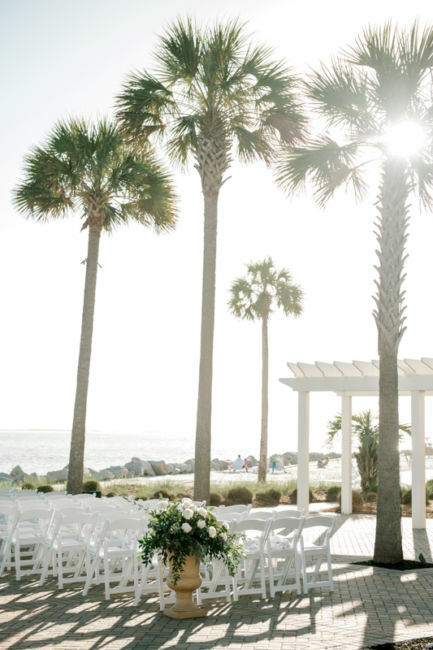 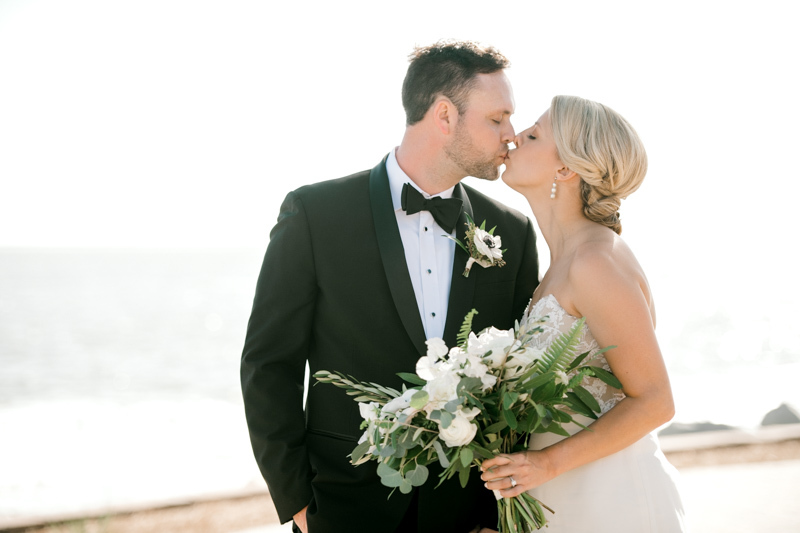 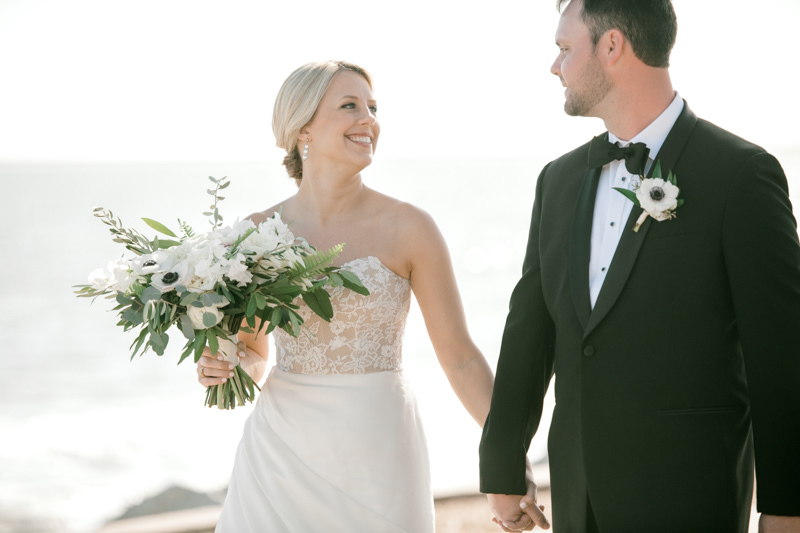 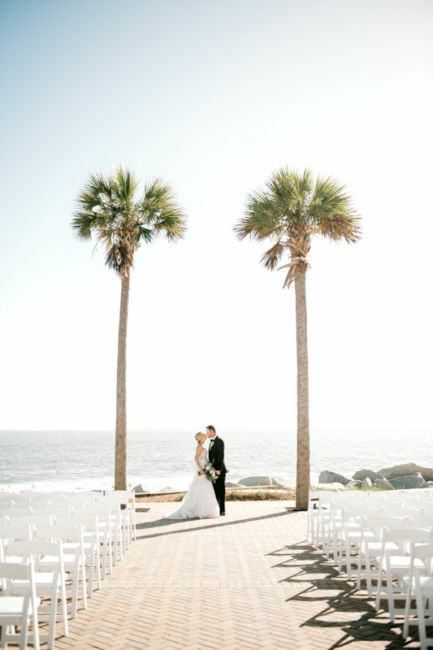 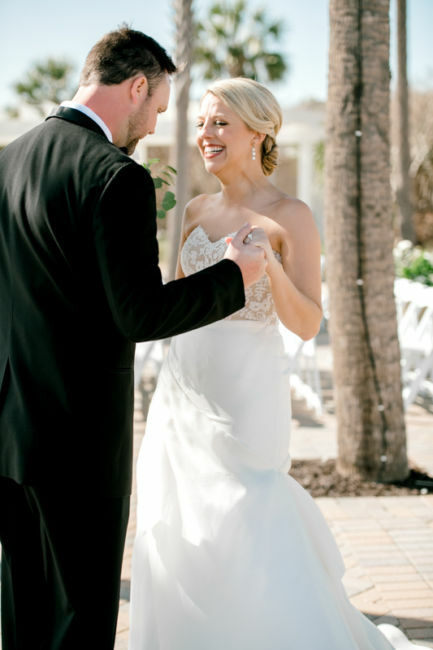 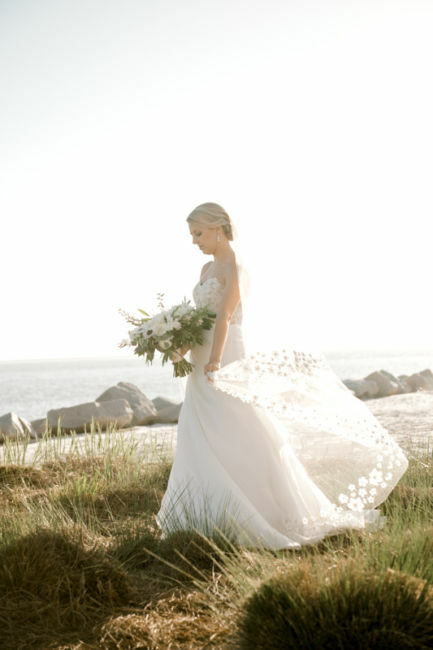 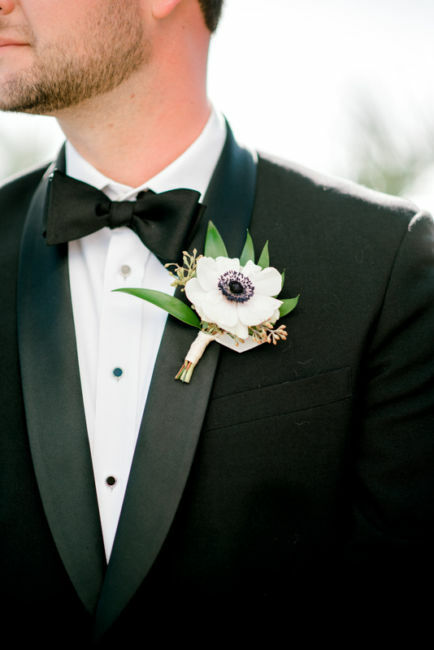 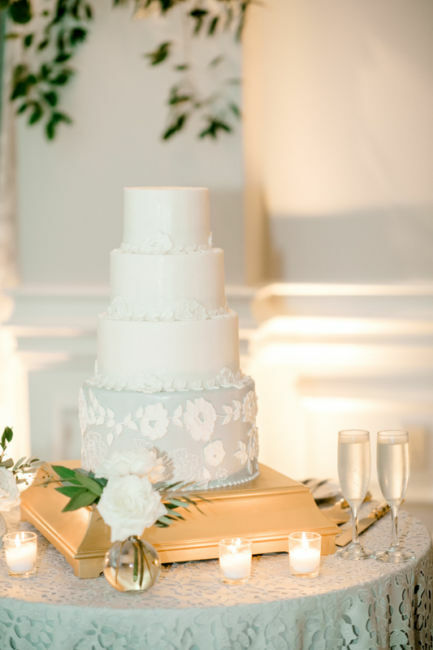 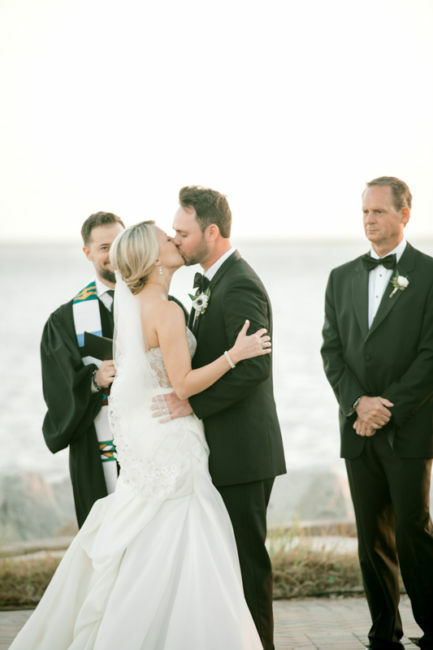 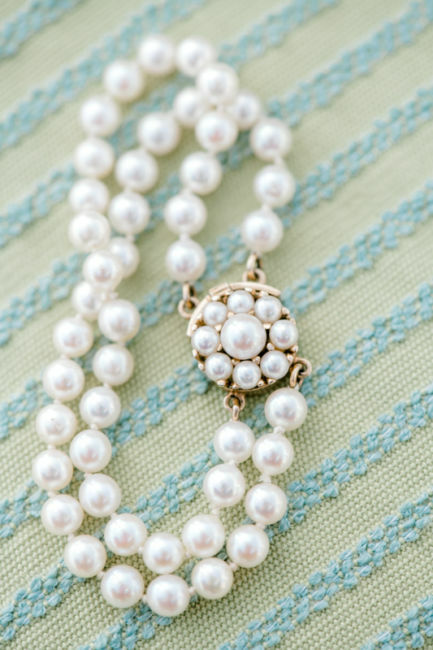 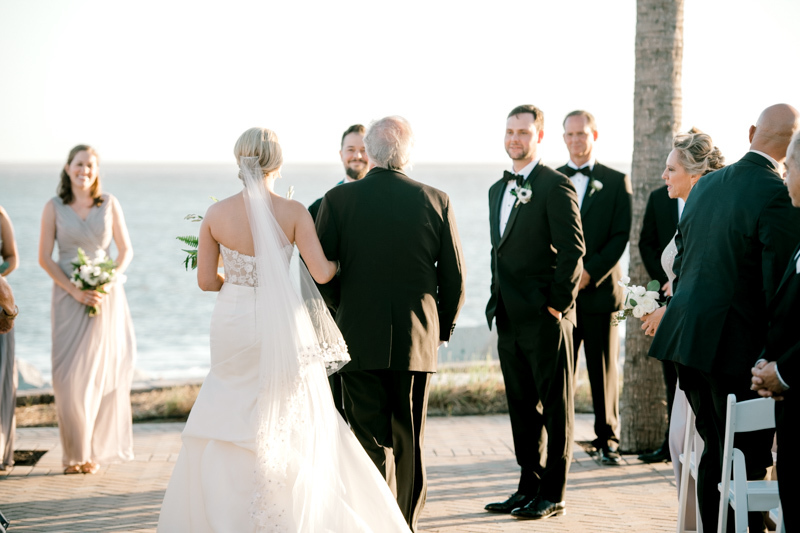 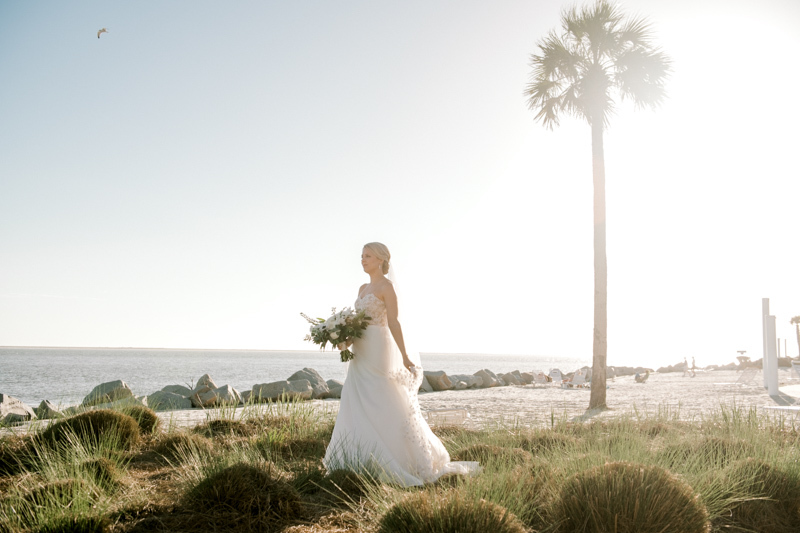 The ocean front ceremony provided an elegant backdrop as they exchanged vows. 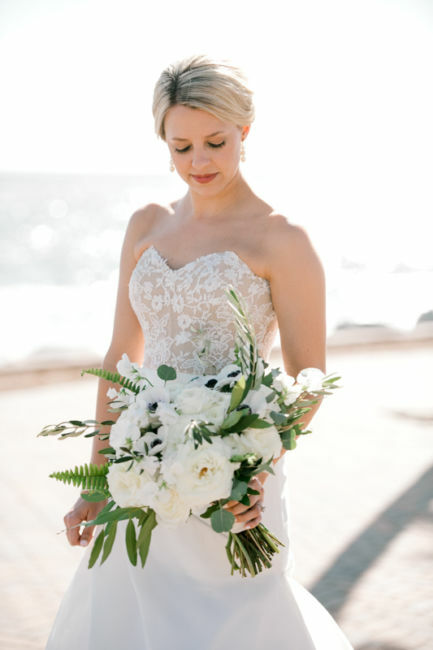 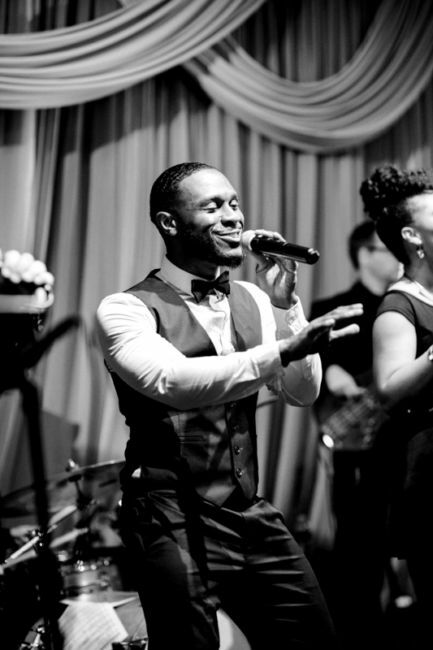 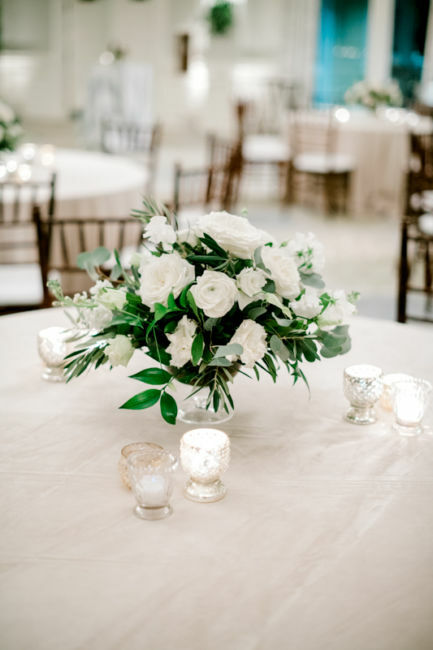 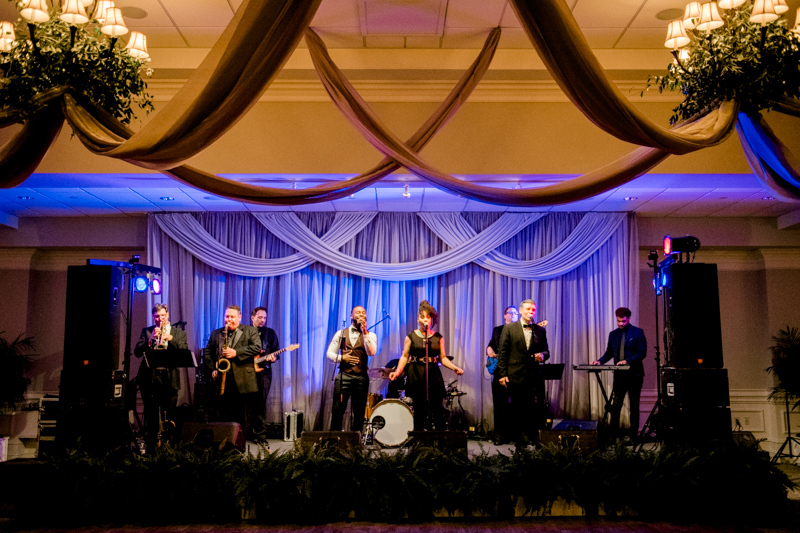 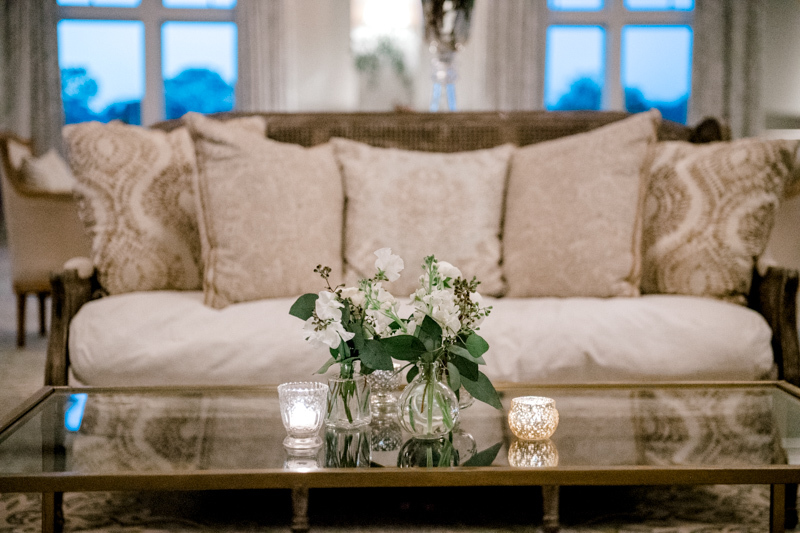 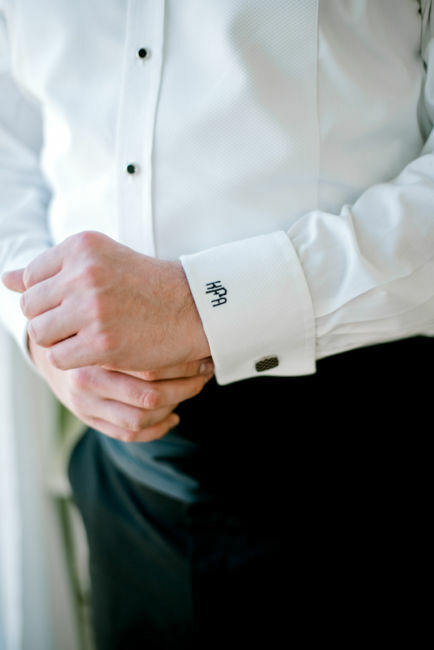 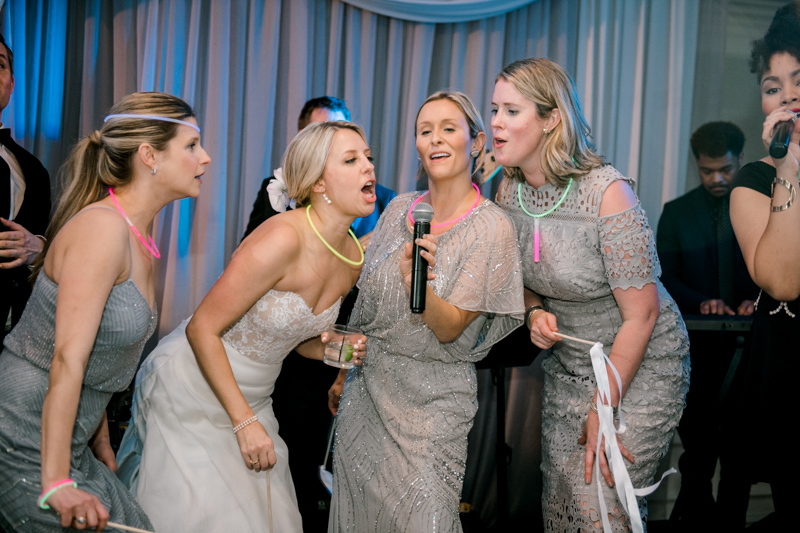 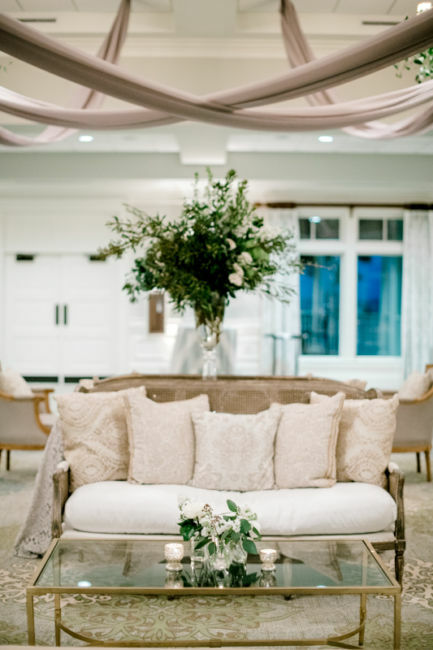 The event planner, Lindsay Merhege with Fox Events, made sure the day went effortlessly. 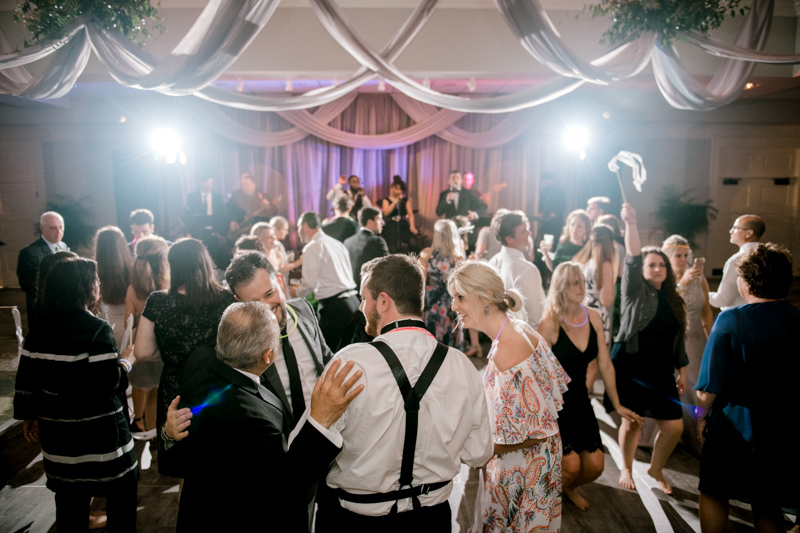 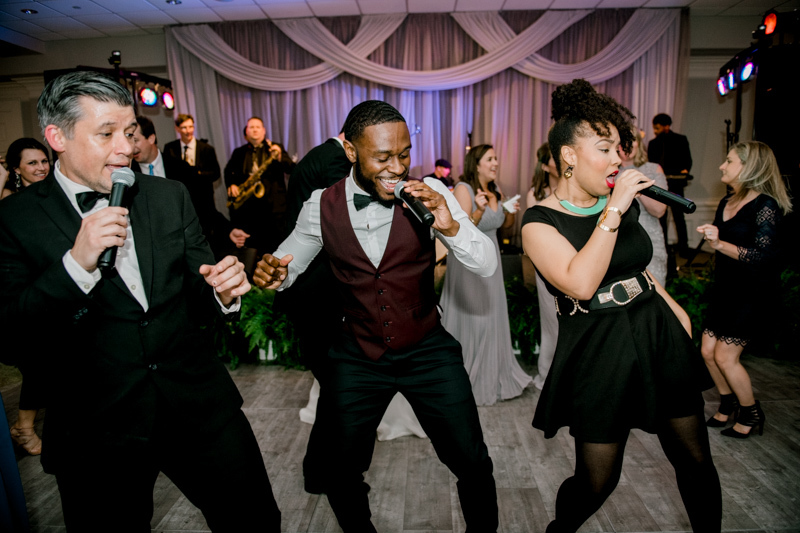 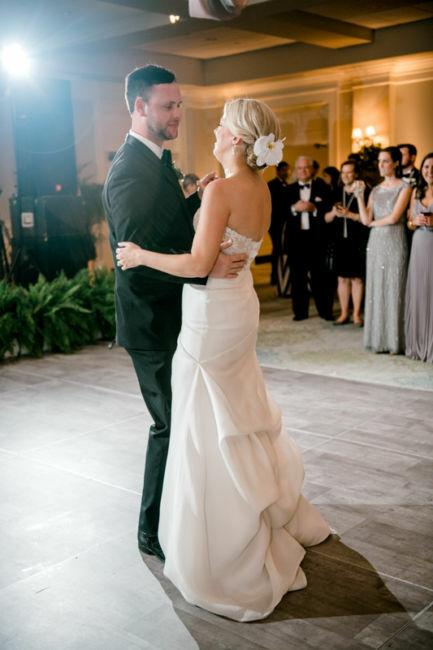 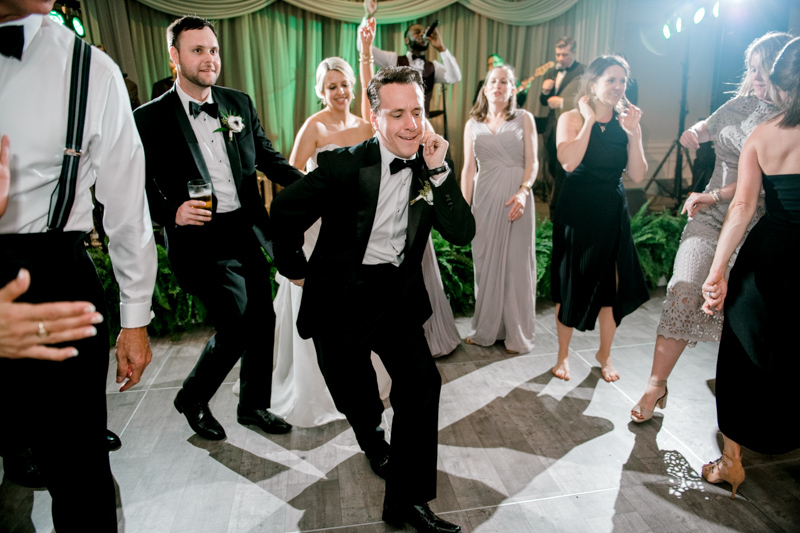 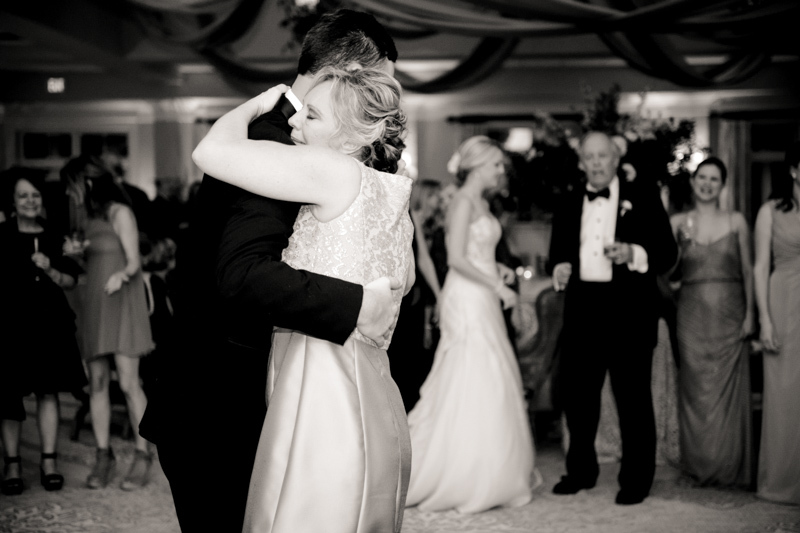 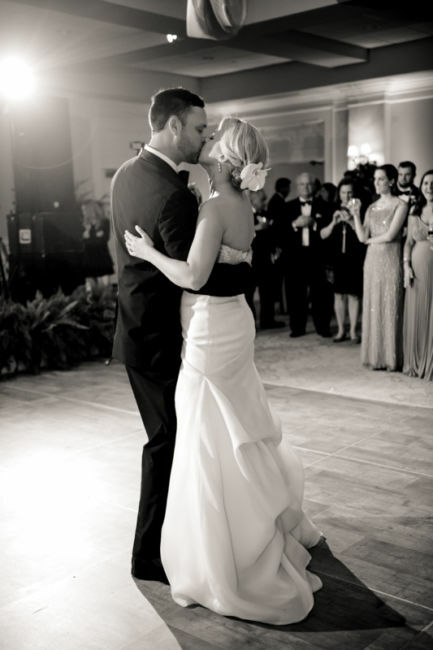 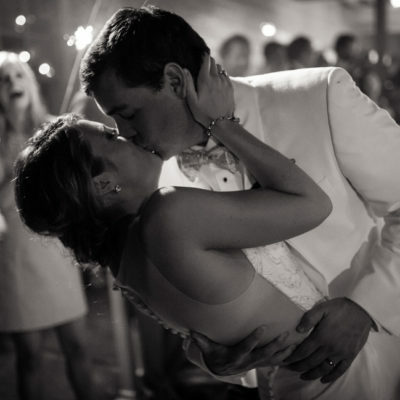 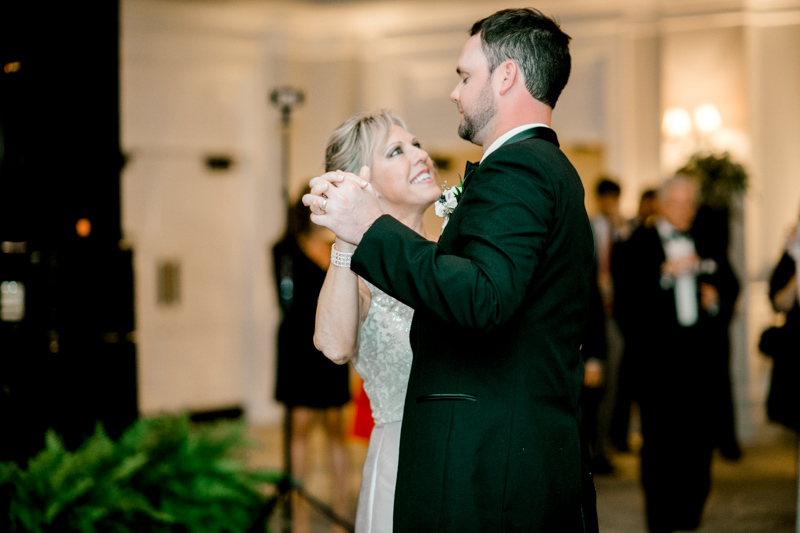 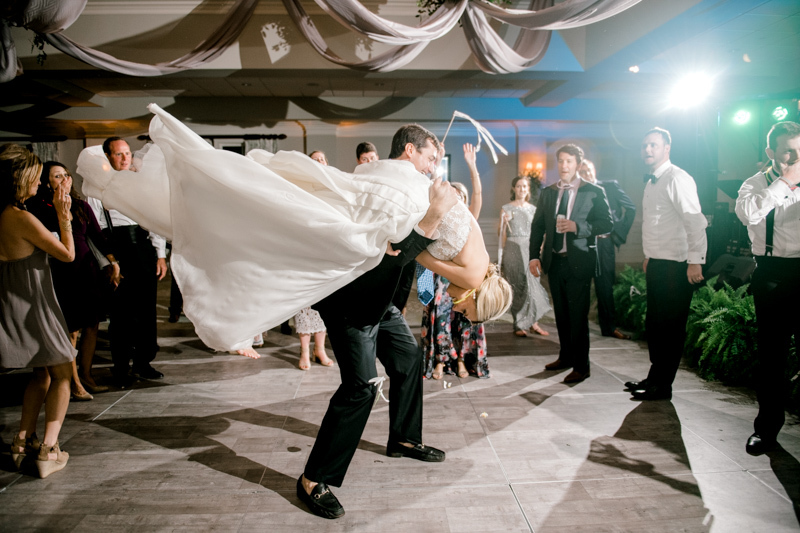 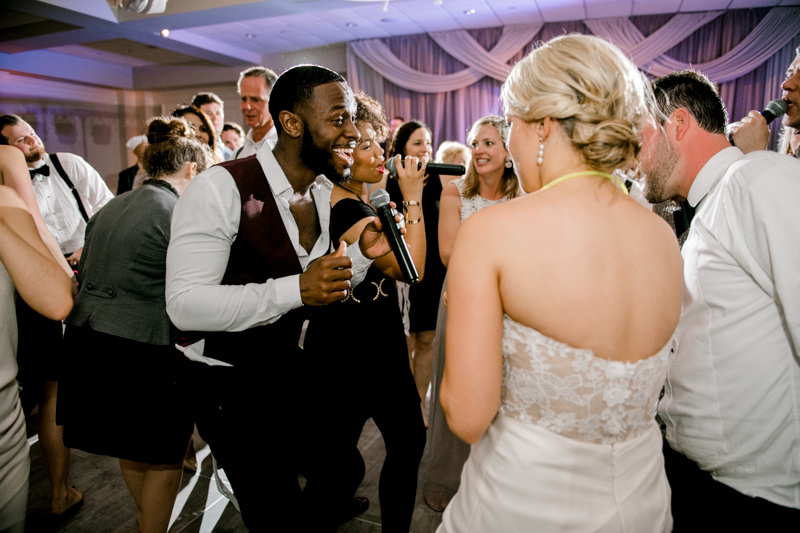 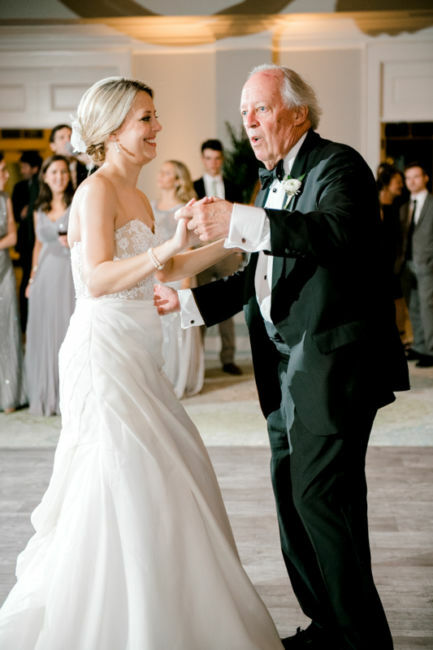 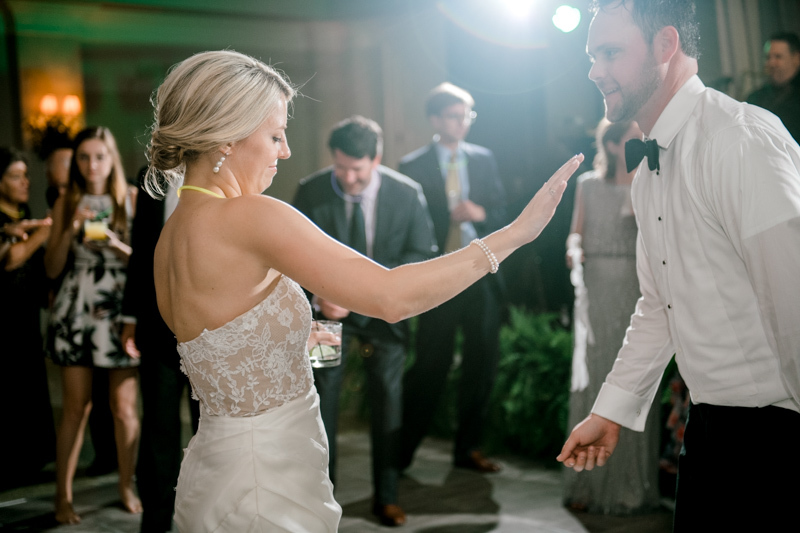 The newlyweds danced their first song to “Die a Happy Man” by Thomas Rhett, making it the perfect way to start the reception. 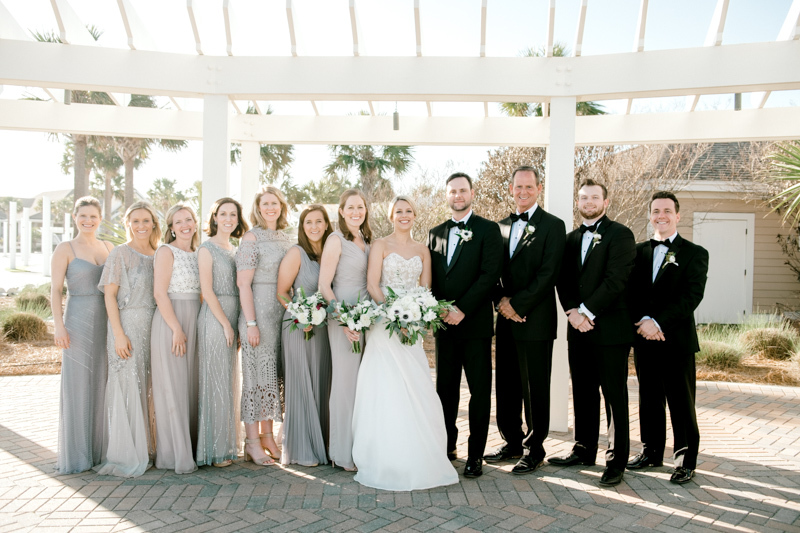 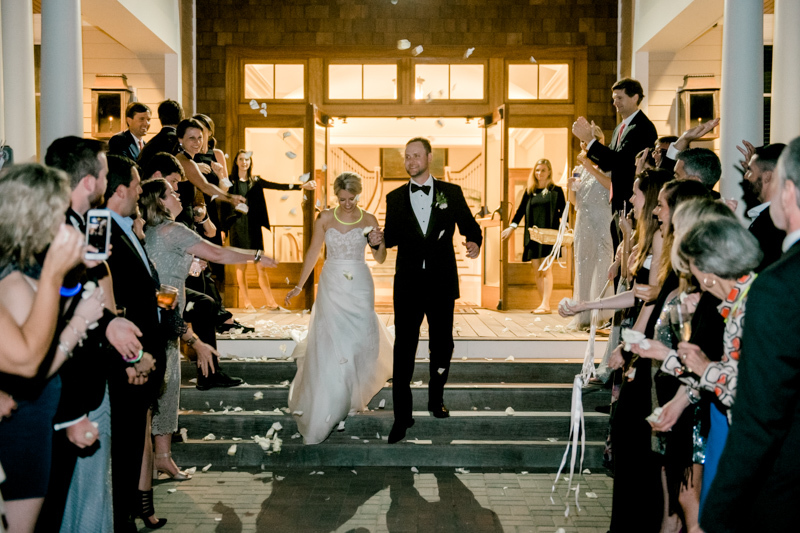 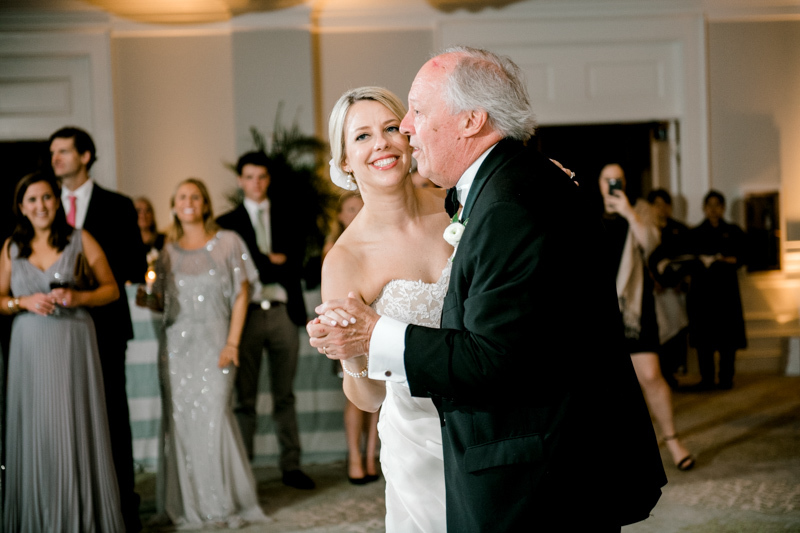 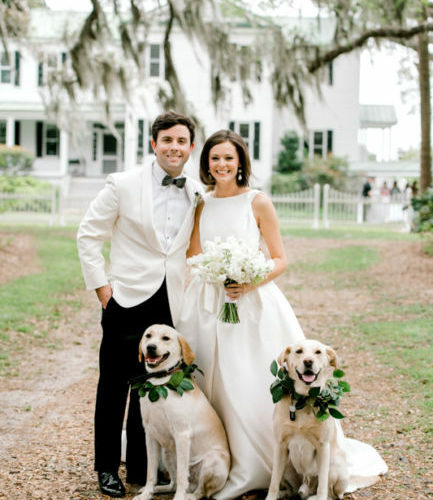 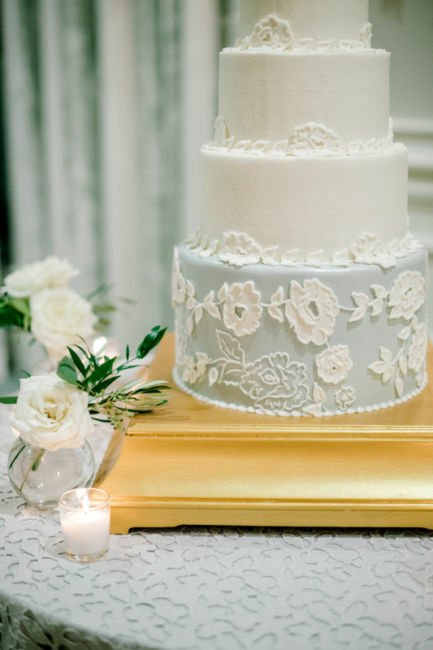 Margaret Kyle and Kyle were so blessed to celebrate their marriage with everyone who is most special to them in this beautiful area of Charleston. 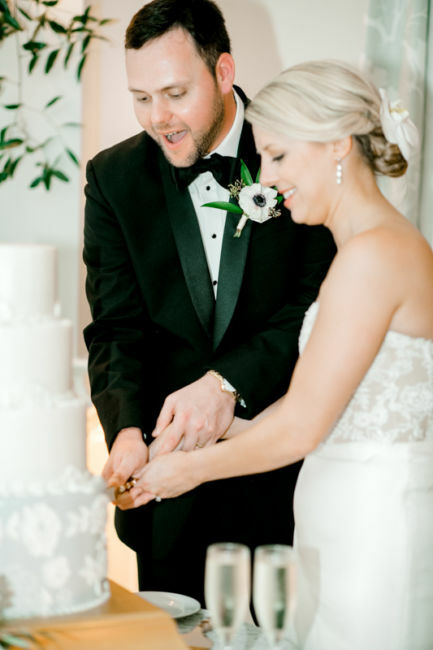 They are so excited to finally be able to call each other husband and wife! 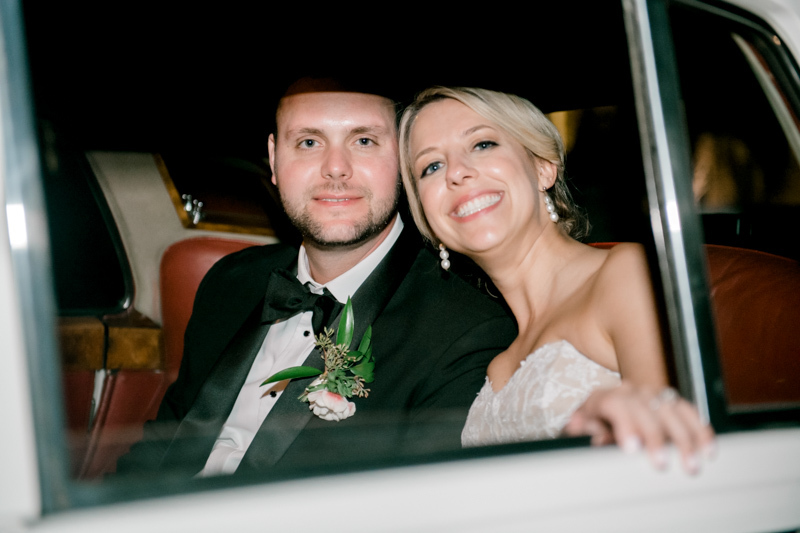 Congratulations Ya’ll!